9 Wait for a failure…? 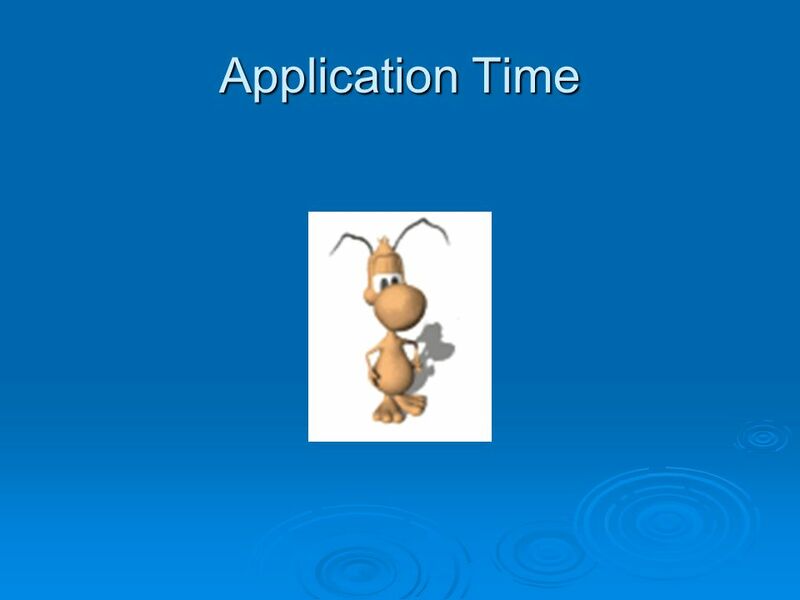 Rely on past experience? 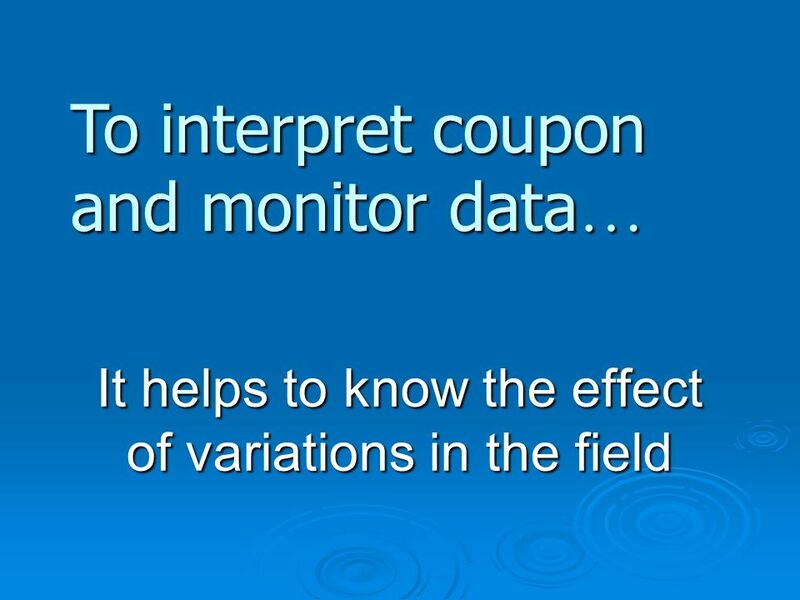 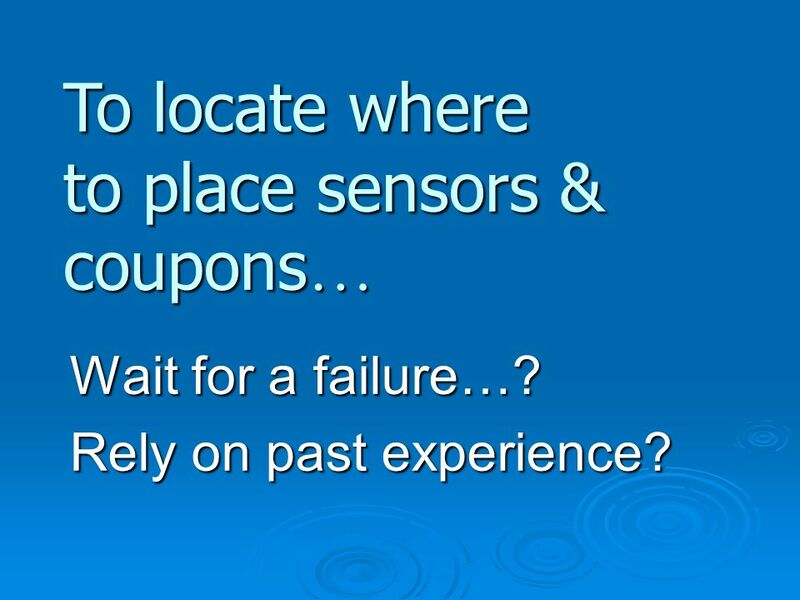 To locate where to place sensors & coupons… Wait for a failure…? 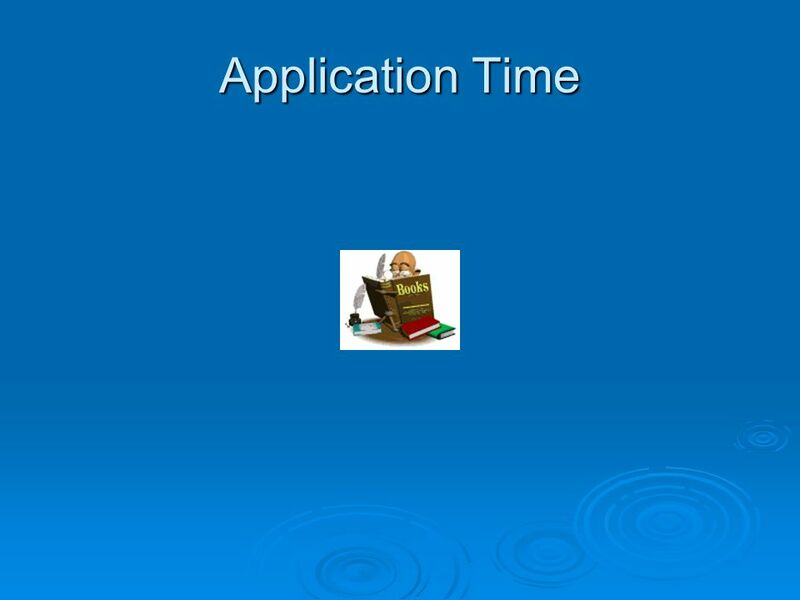 Rely on past experience? 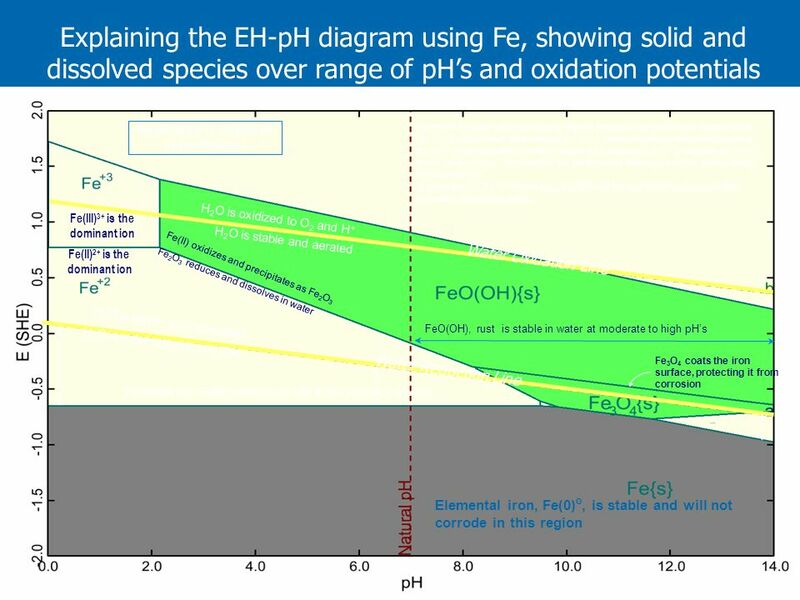 Explaining the EH-pH diagram using Fe, showing solid and dissolved species over range of pH’s and oxidation potentials H2O is oxidized to O2 and H+ H2O is reduced to H2 and OH- Elemental iron, Fe(0)o, is stable and will not corrode in this region H2O is stable and deaerated H2O is stable and aerated Fe2O3 reduces and dissolves in water Fe(II) oxidizes and precipitates as Fe2O3 Elemental iron, Fe(0) oxidizes to Fe(II) in the presence of water FeO(OH), rust is stable in water at moderate to high pH’s White area is region of iron corrosion Water Oxidation Line Water Reduction Line Fe3O4 coats the iron surface, protecting it from corrosion Fe(III)3+ is the dominant ion Fe(II)2+ is the Elemental iron (gray region) corrodes in water to form one of several phases, depending on pH. At ~9 pH and lower, water oxidizes Fe0 to Fe+2 which dissolves in water (white region of the plot). 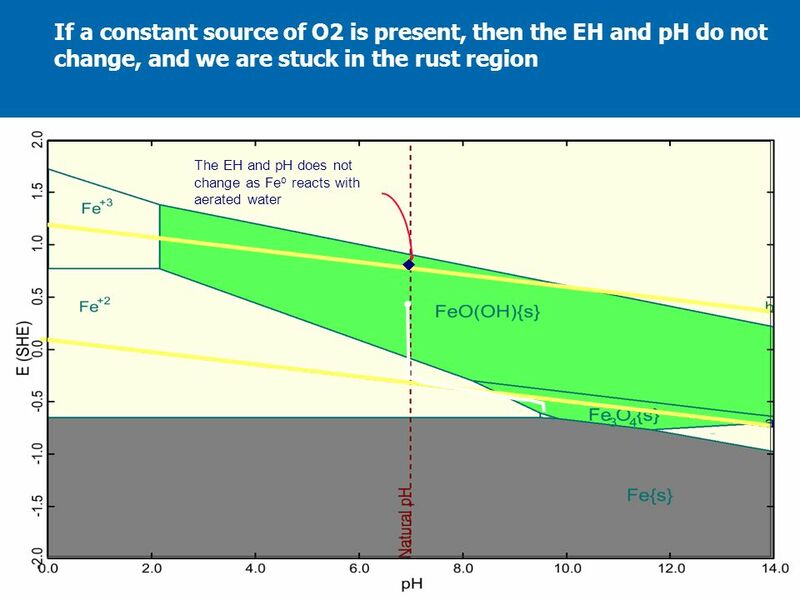 As the oxidation potential increases (high dissolved O2) Fe+2 precipitates as FeOOH, or rust (green region). 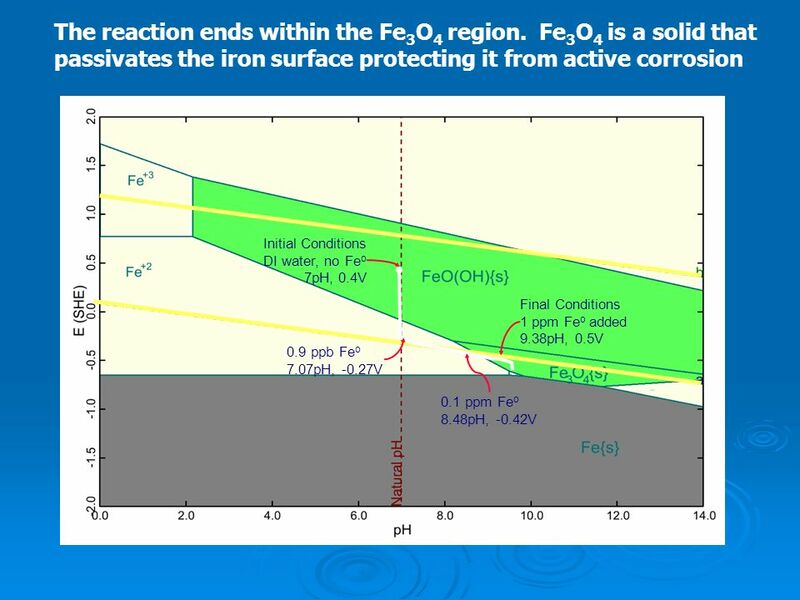 The lower the pH, the thicker the white region and the greater driving force for corrosion At higher pH (10-11), Fe0 forms Fe3O4, a stable solid that precipitates on the iron surface, protecting it from further attack. 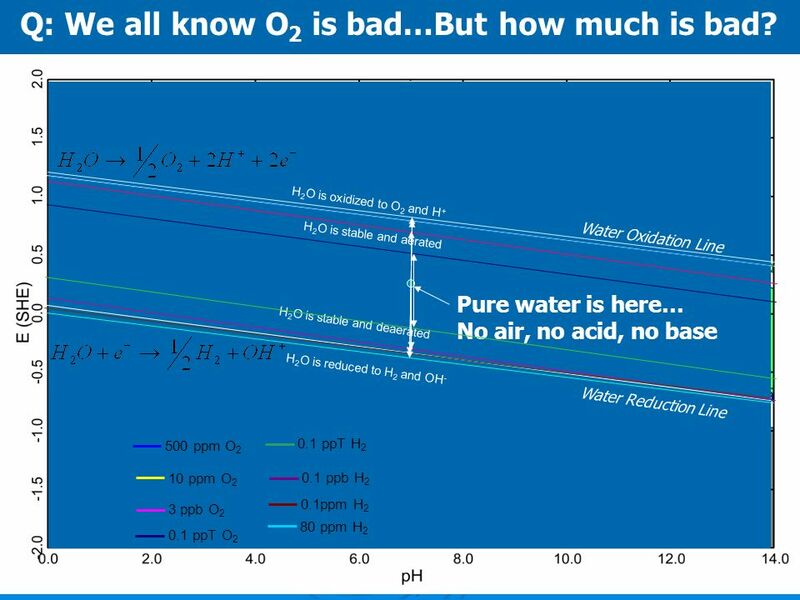 47 Q: We all know O2 is bad…But how much is bad? 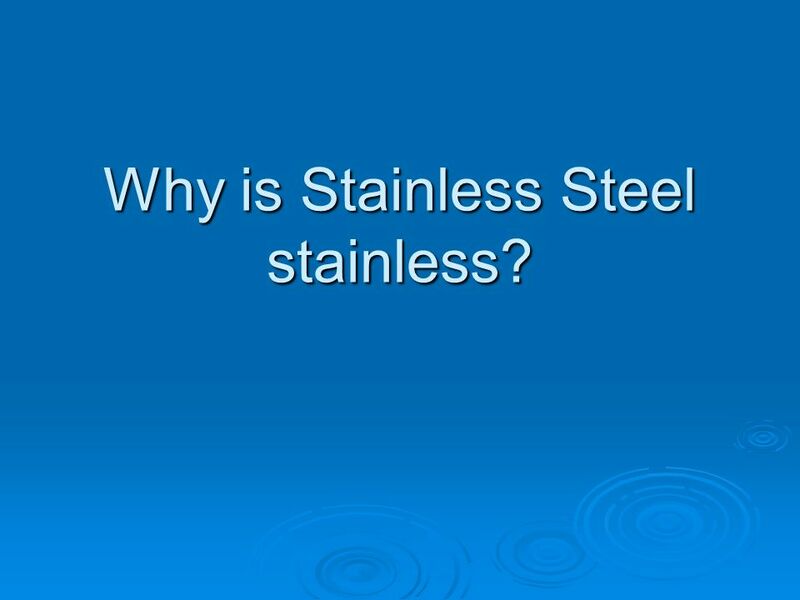 54 Why is Stainless Steel stainless? 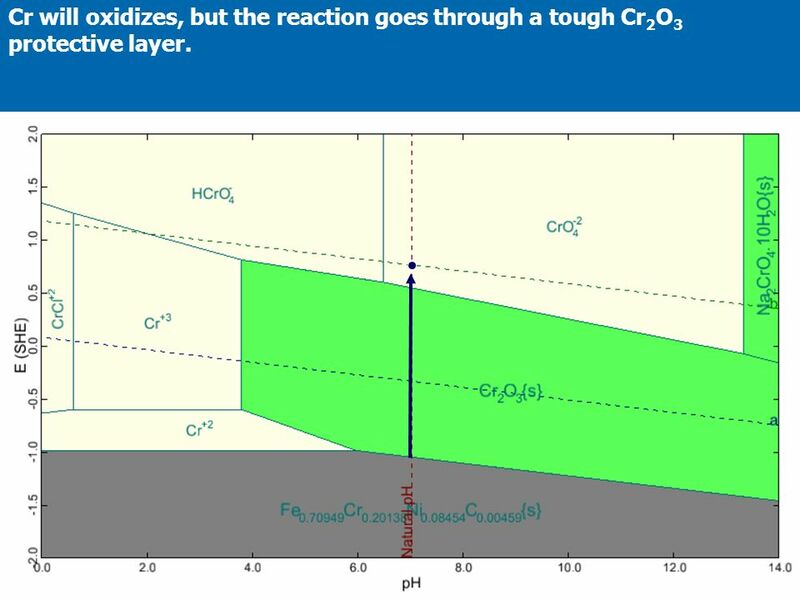 55 Cr will oxidizes, but the reaction goes through a tough Cr2O3 protective layer. 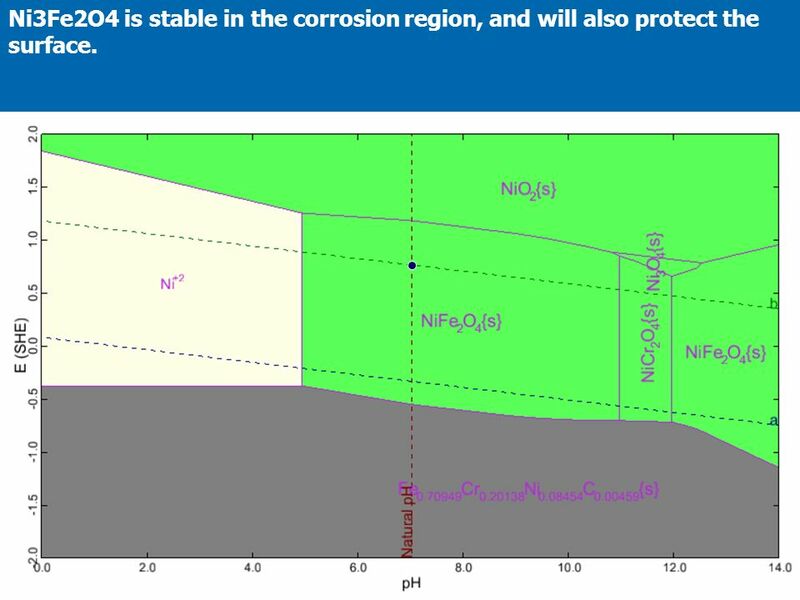 56 Ni3Fe2O4 is stable in the corrosion region, and will also protect the surface. 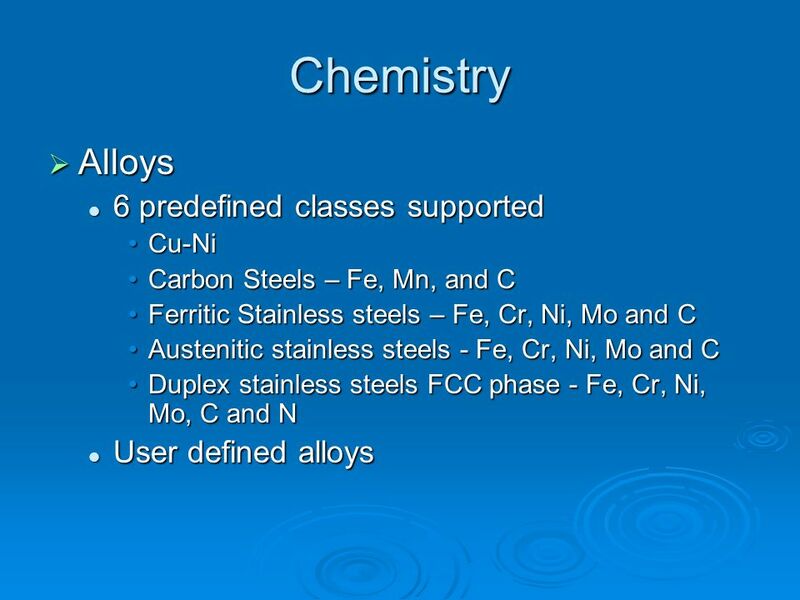 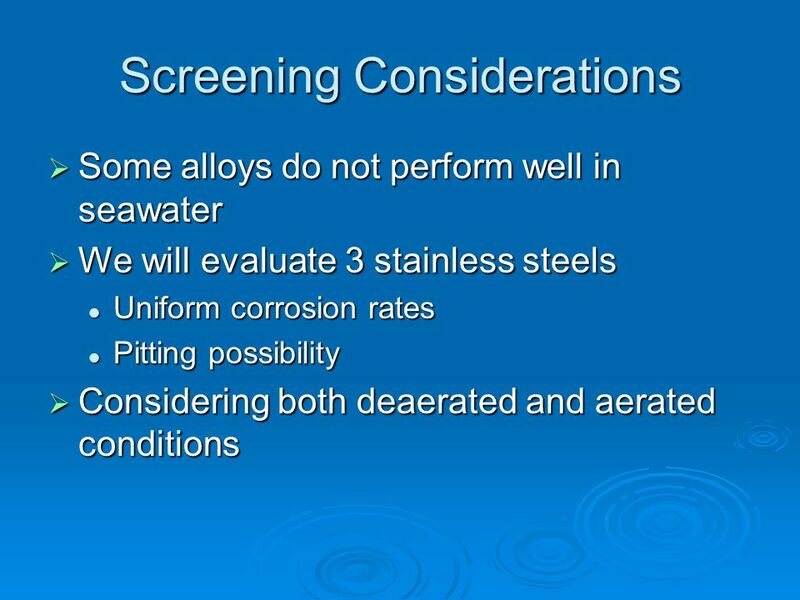 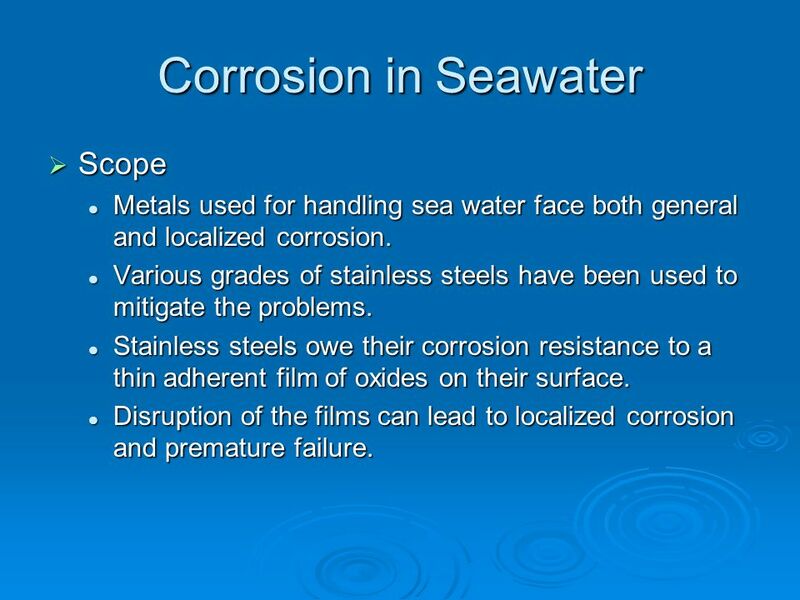 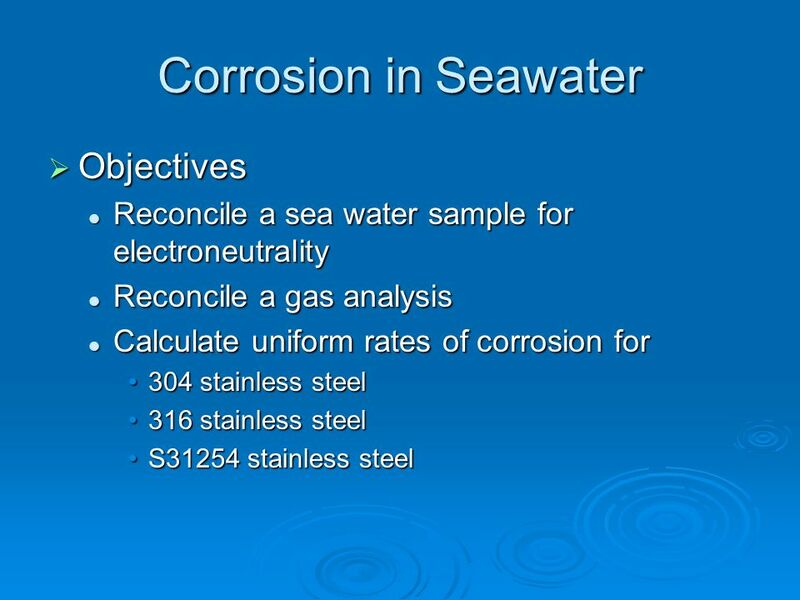 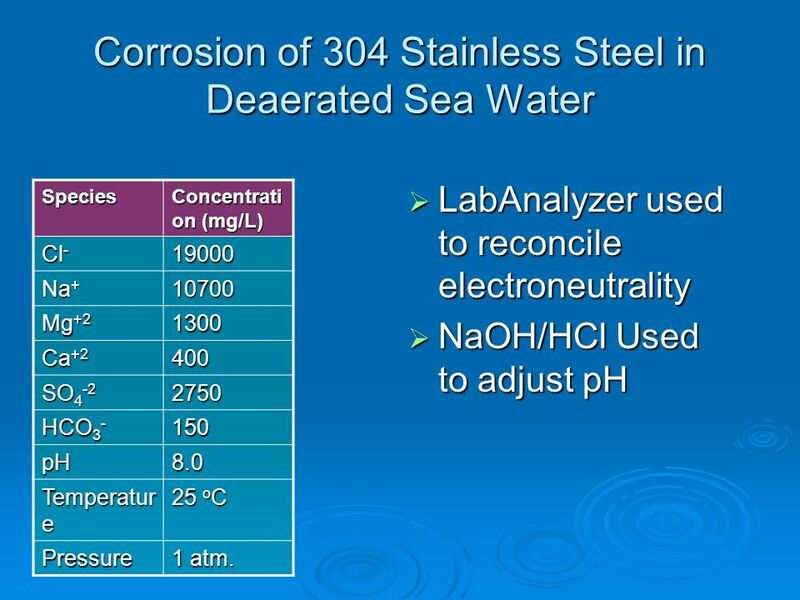 Metals used for handling sea water face both general and localized corrosion. 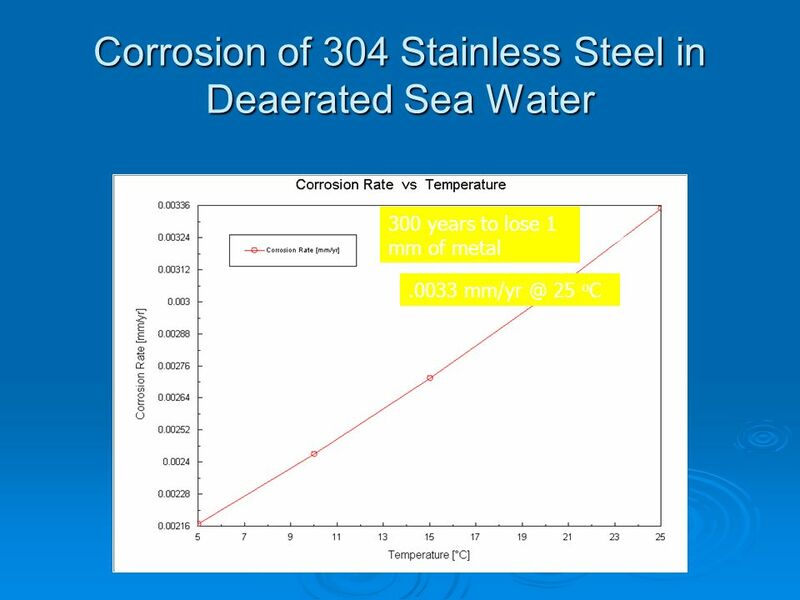 Various grades of stainless steels have been used to mitigate the problems. 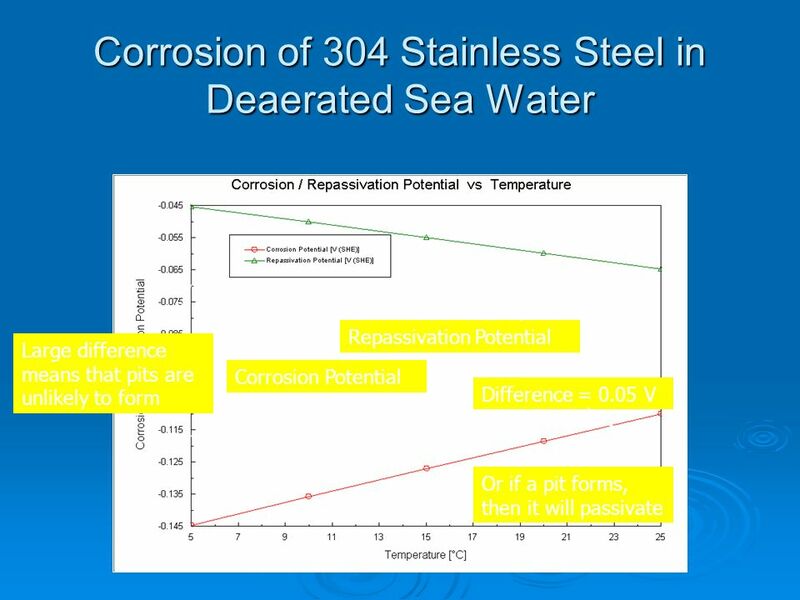 Stainless steels owe their corrosion resistance to a thin adherent film of oxides on their surface. 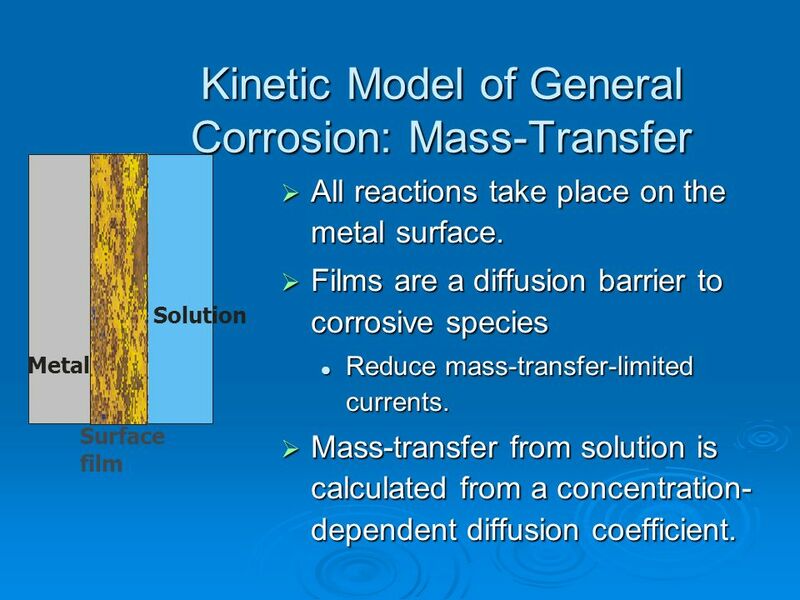 Disruption of the films can lead to localized corrosion and premature failure. 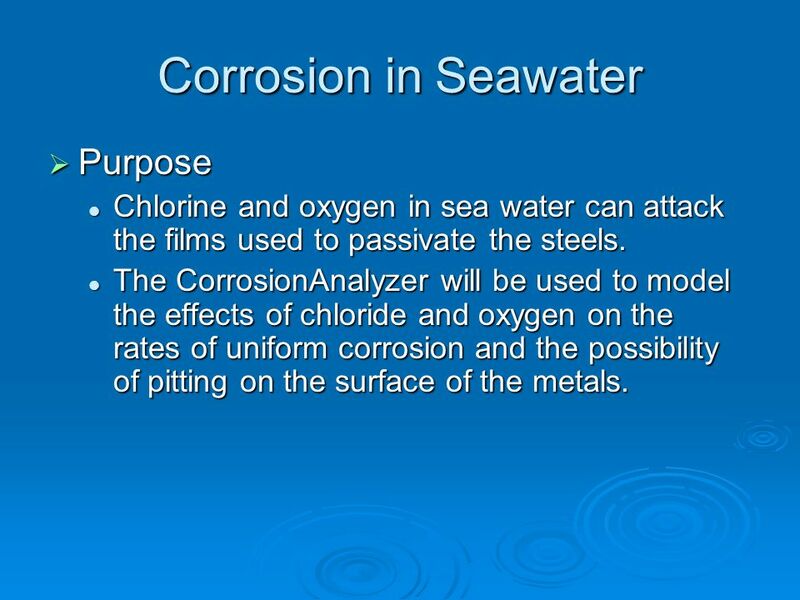 Chlorine and oxygen in sea water can attack the films used to passivate the steels. 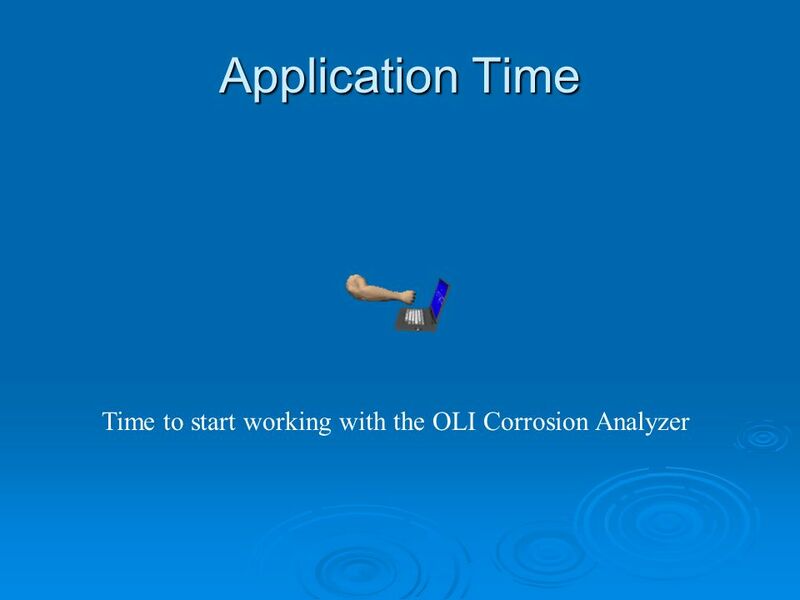 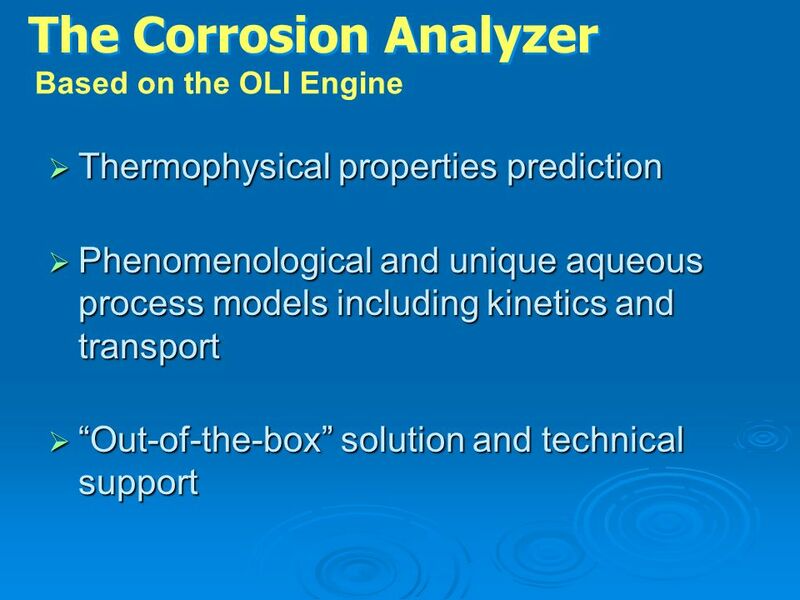 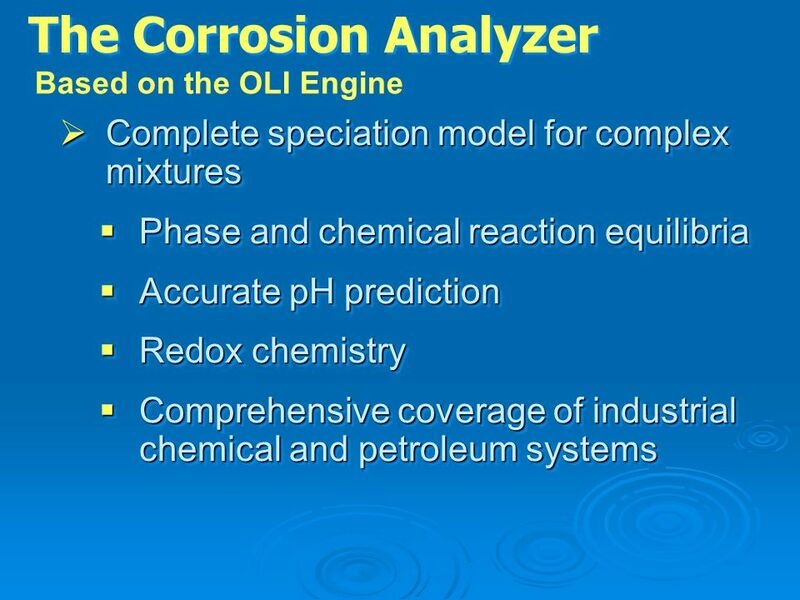 The CorrosionAnalyzer will be used to model the effects of chloride and oxygen on the rates of uniform corrosion and the possibility of pitting on the surface of the metals. 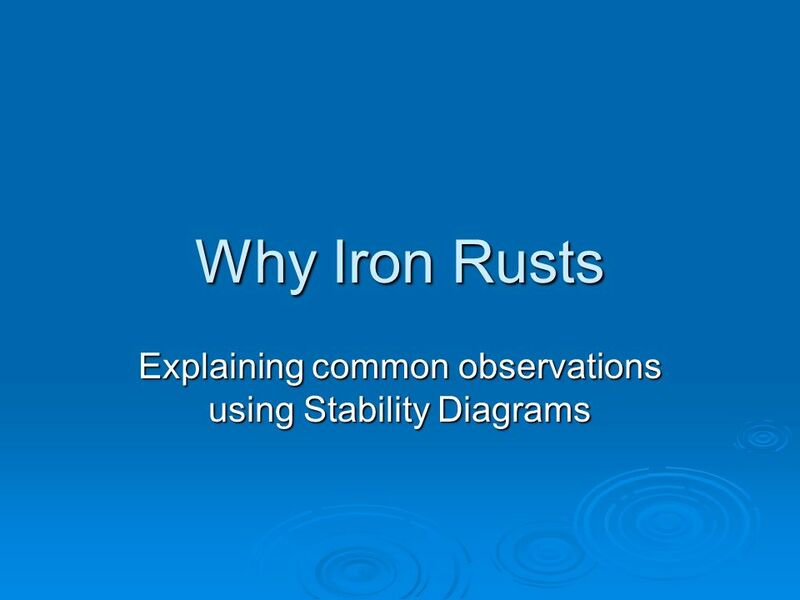 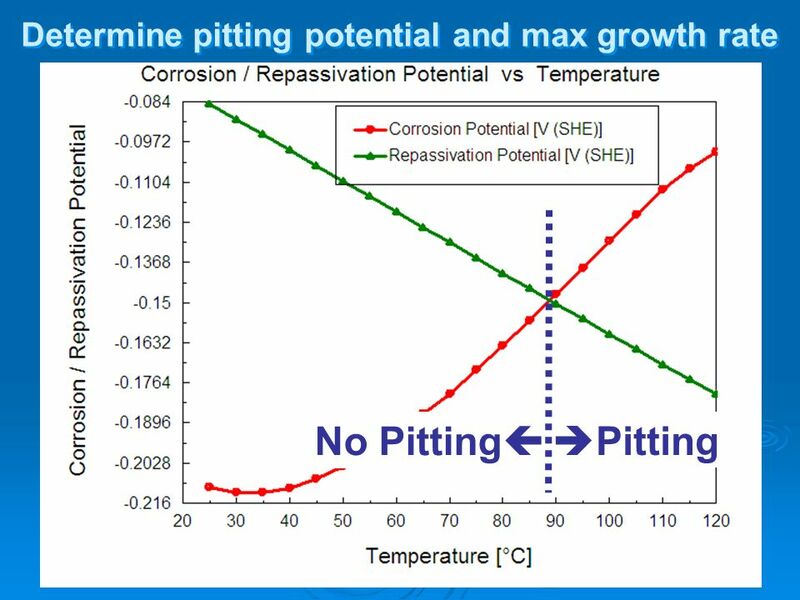 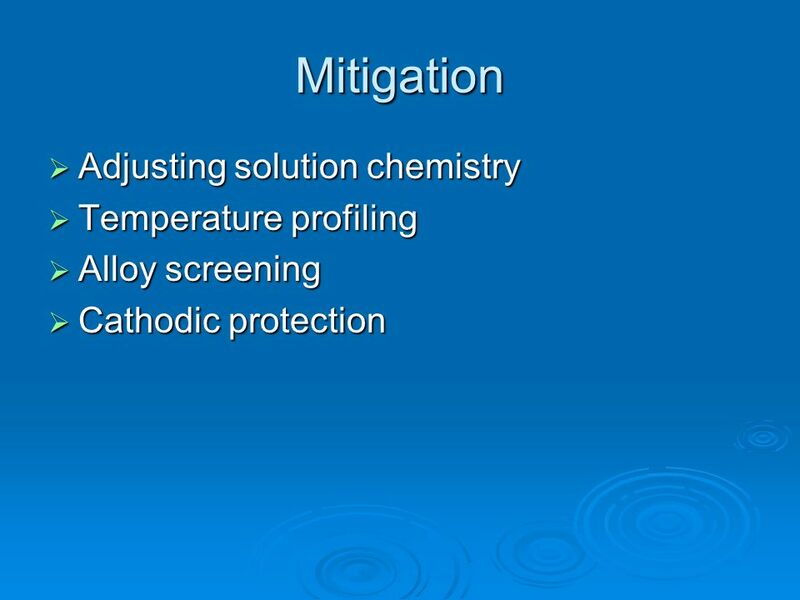 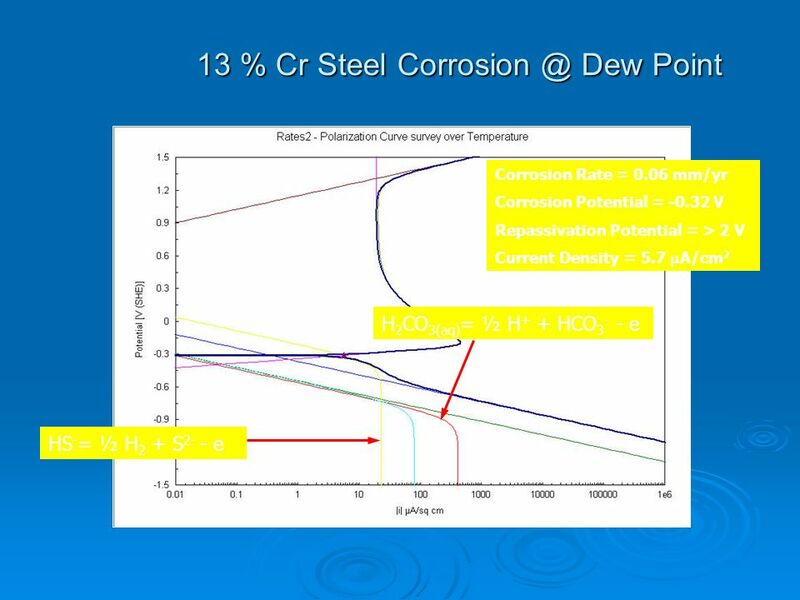 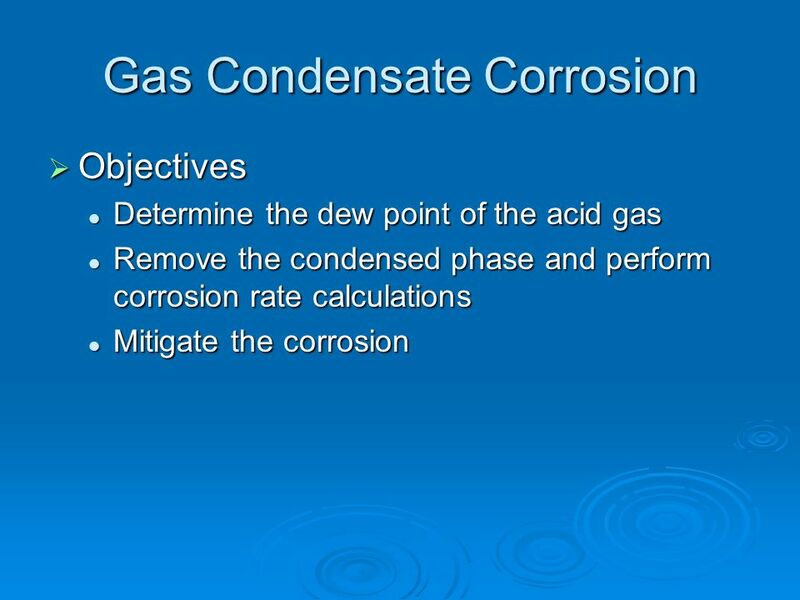 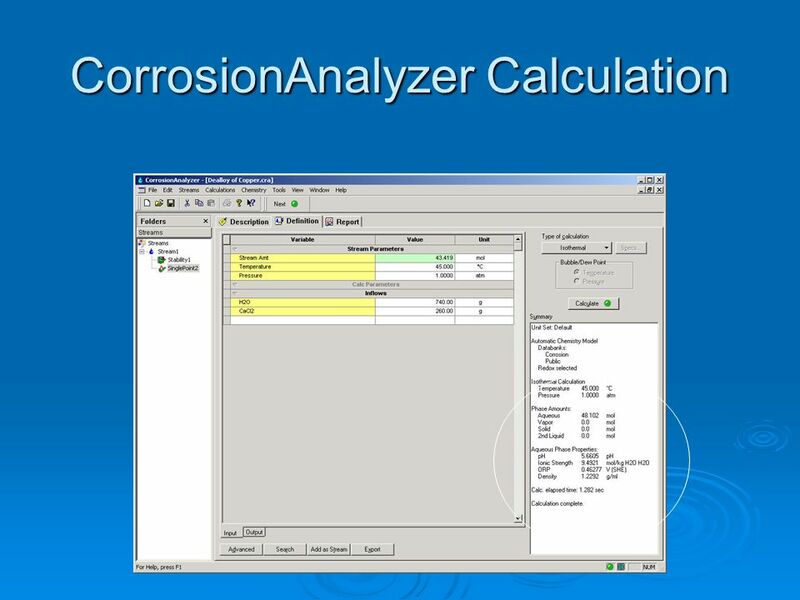 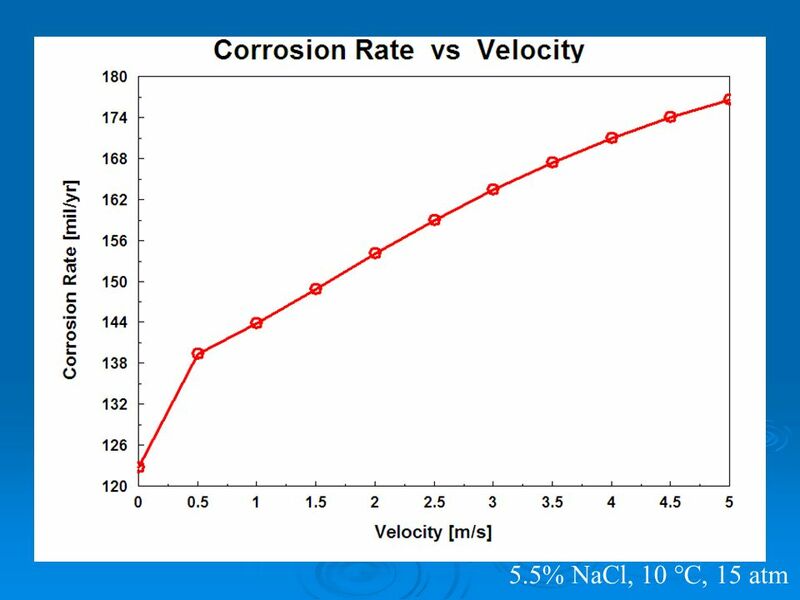 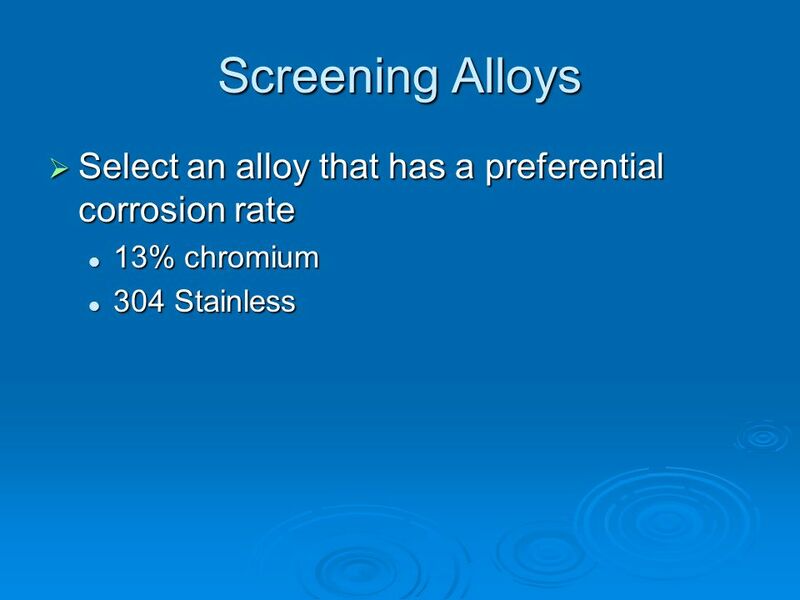 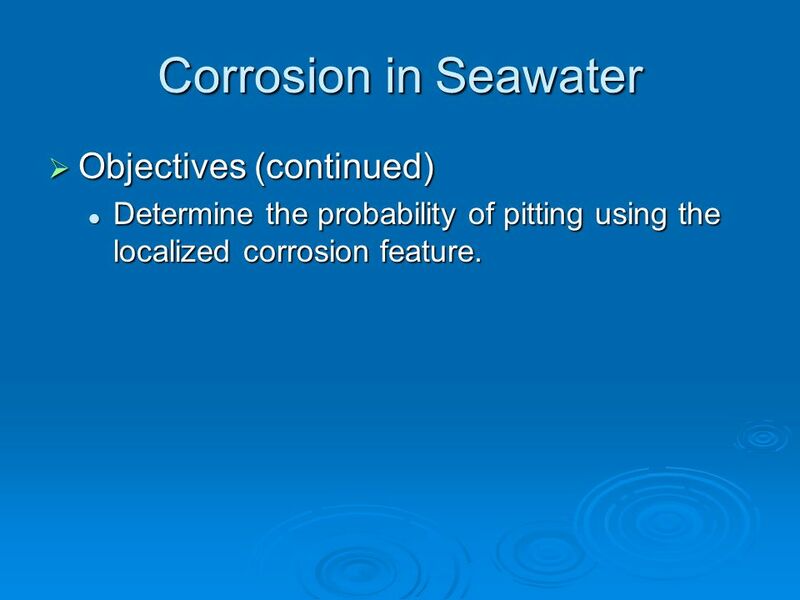 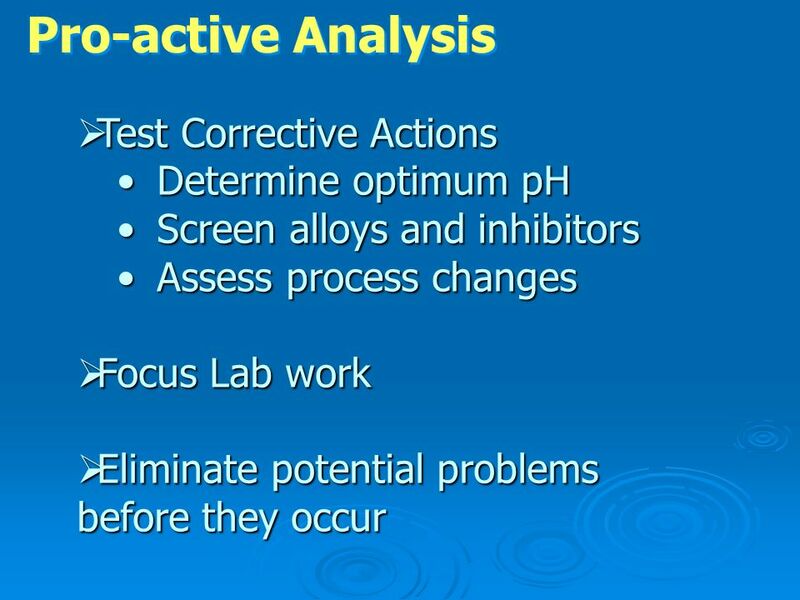 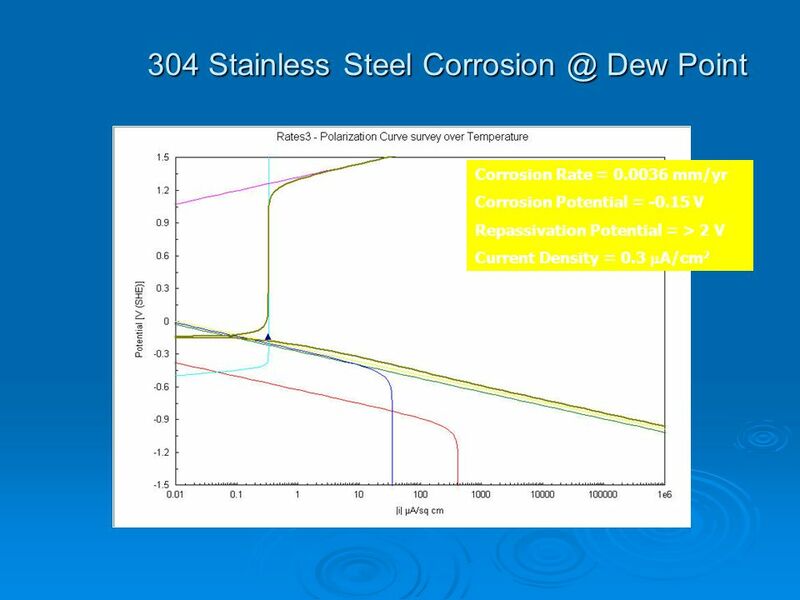 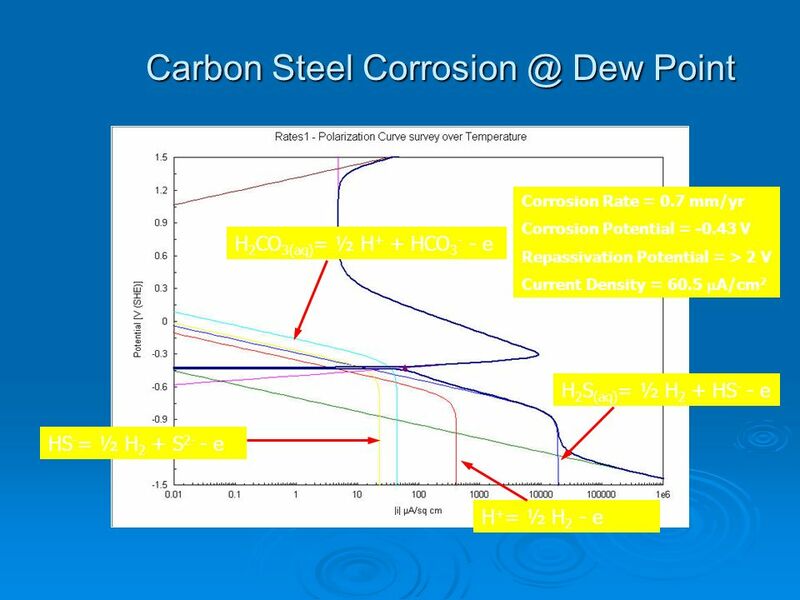 Determine the probability of pitting using the localized corrosion feature. 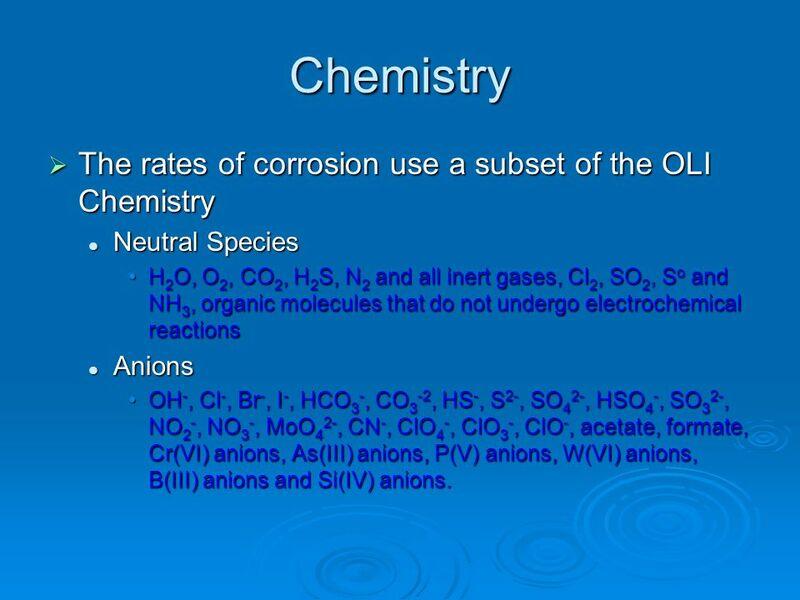 Neutral Species H­2O, O2, CO2, H­2S, N2 and all inert gases, Cl2, SO2, So and NH3, organic molecules that do not undergo electrochemical reactions Anions OH-, Cl-, Br-, I-, HCO3-, CO3-2, HS-, S2-, SO42-, HSO4-, SO32-, NO2-, NO3-, MoO42-, CN-, ClO4-, ClO3-, ClO-, acetate, formate, Cr(VI) anions, As(III) anions, P(V) anions, W(VI) anions, B(III) anions and Si(IV) anions. 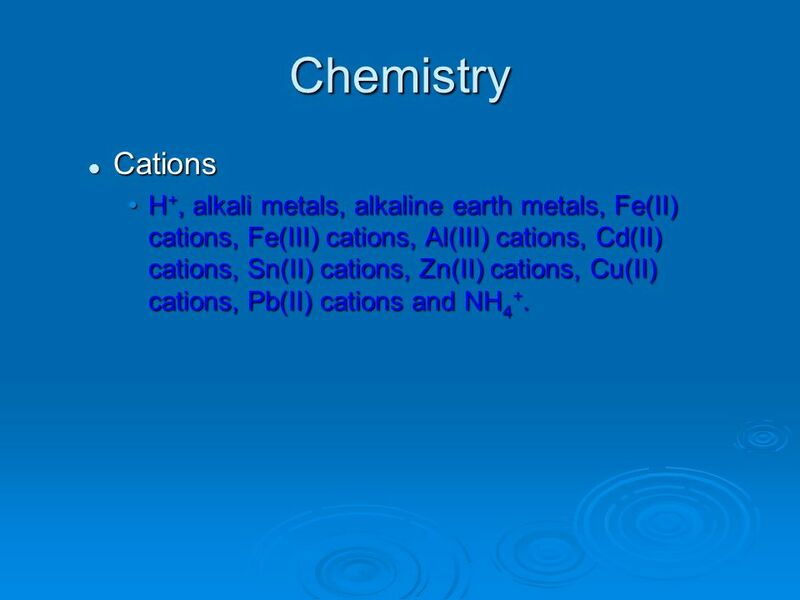 64 Chemistry Cations H+, alkali metals, alkaline earth metals, Fe(II) cations, Fe(III) cations, Al(III) cations, Cd(II) cations, Sn(II) cations, Zn(II) cations, Cu(II) cations, Pb(II) cations and NH4+. 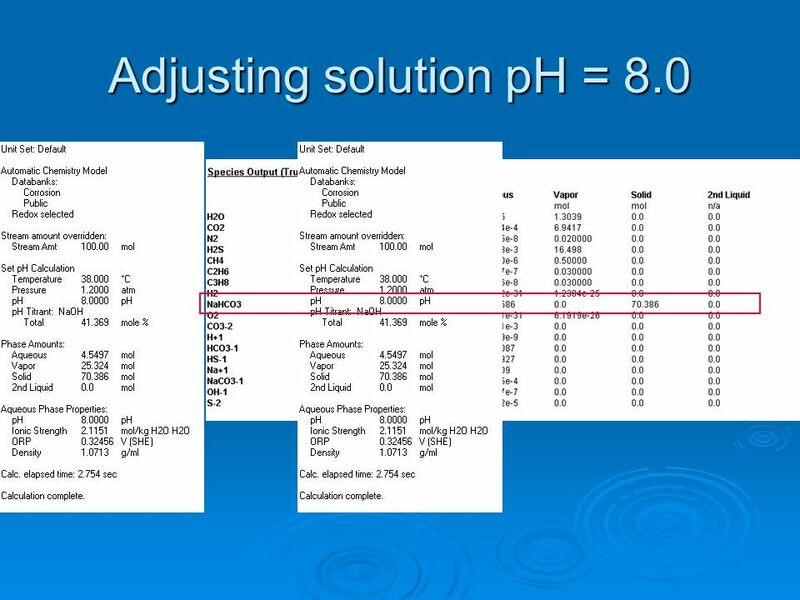 LabAnalyzer used to reconcile electroneutrality NaOH/HCl Used to adjust pH Species Concentration (mg/L) Cl- 19000 Na+ 10700 Mg+2 1300 Ca+2 400 SO4-2 2750 HCO3- 150 pH 8.0 Temperature 25 oC Pressure 1 atm. 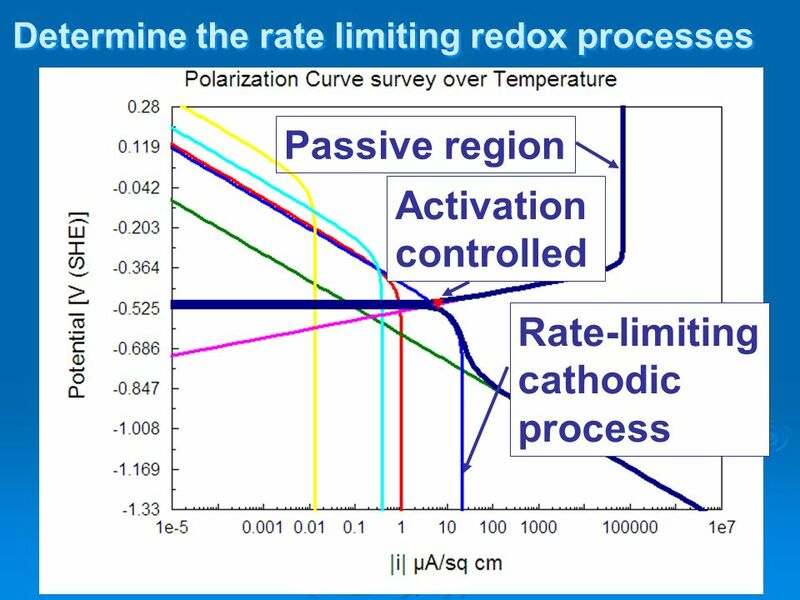 70 What’s on a Polarization Curve? 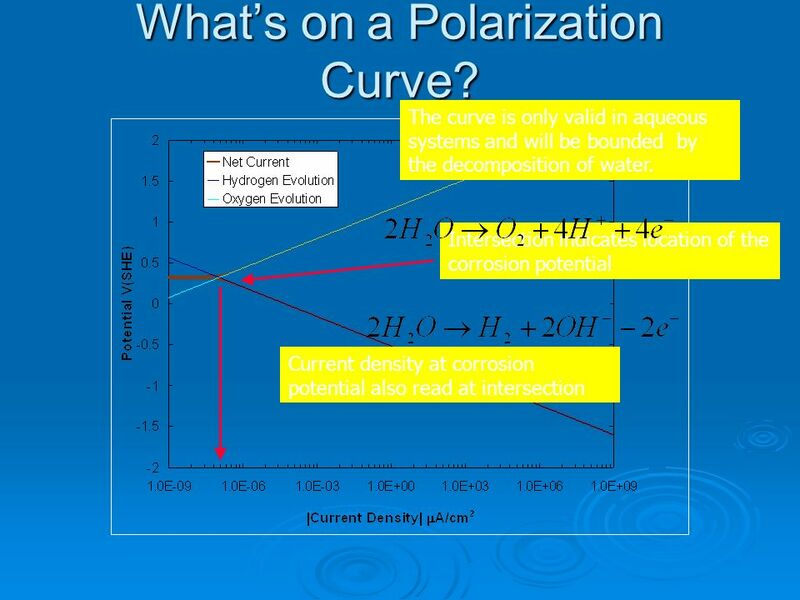 71 What’s on a Polarization Curve? 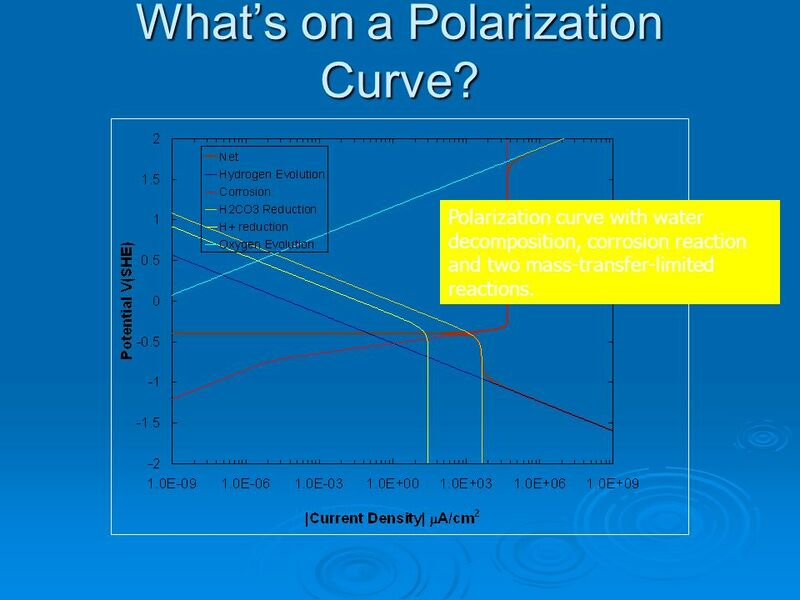 72 What’s on a Polarization Curve? 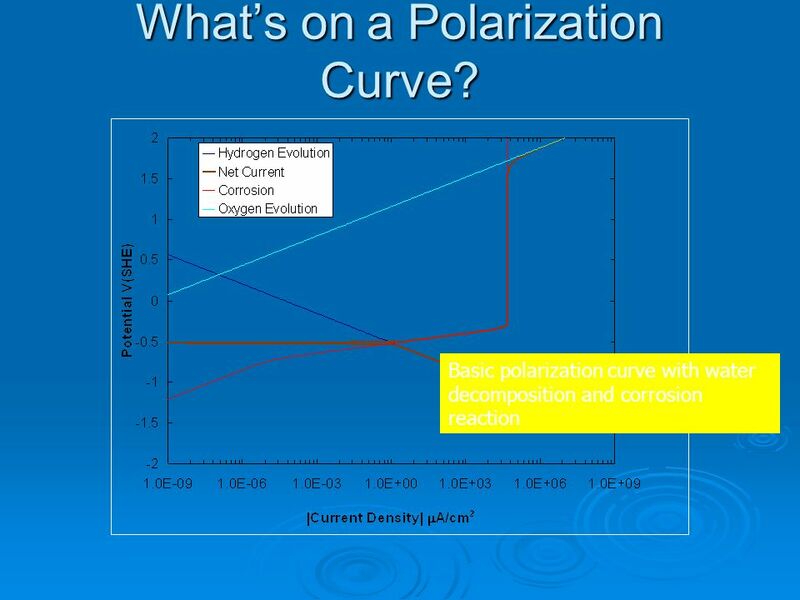 73 What’s on a Polarization Curve? 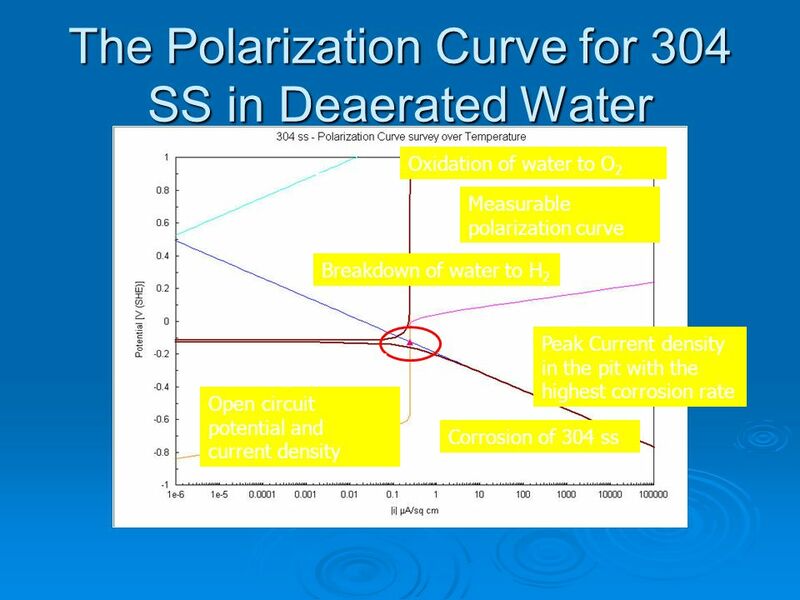 Polarization curve with water decomposition, corrosion reaction and two mass-transfer-limited reactions. 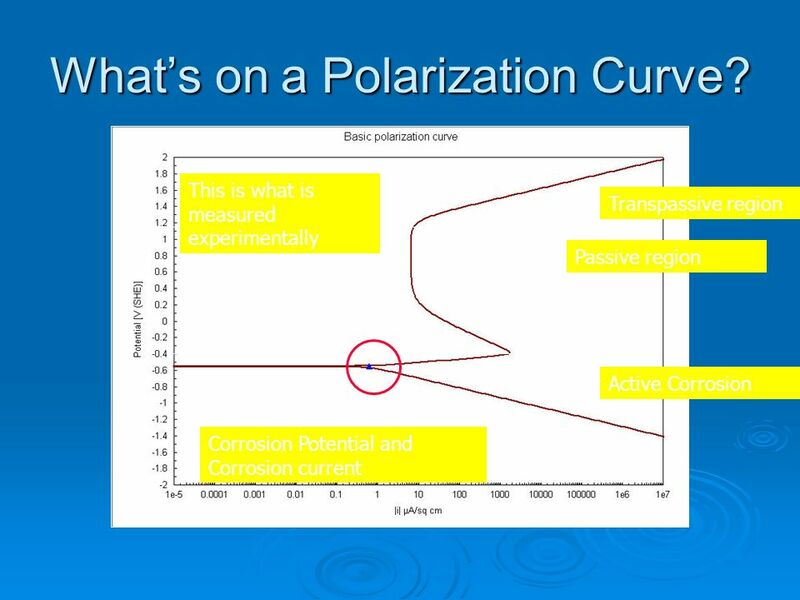 74 What’s on a Polarization Curve? 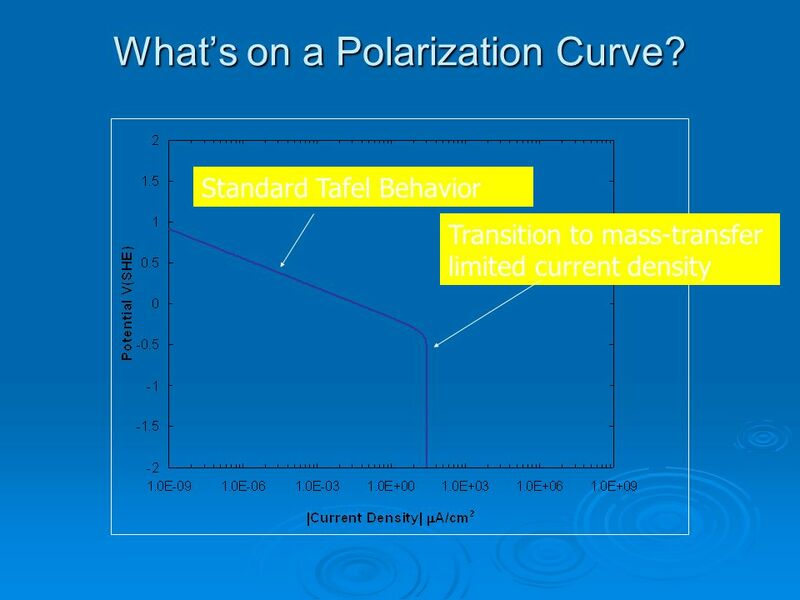 75 What’s on a Polarization Curve? 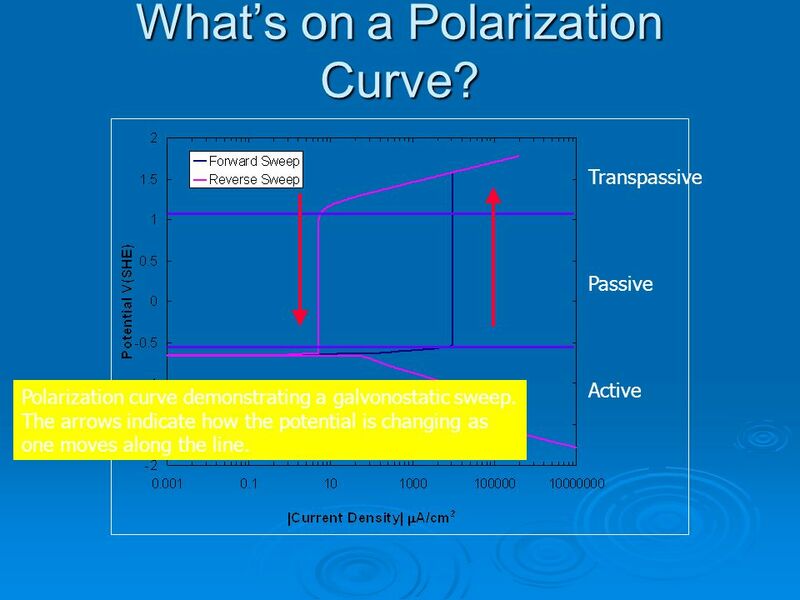 Transpassive Passive Active Polarization curve demonstrating a galvonostatic sweep. 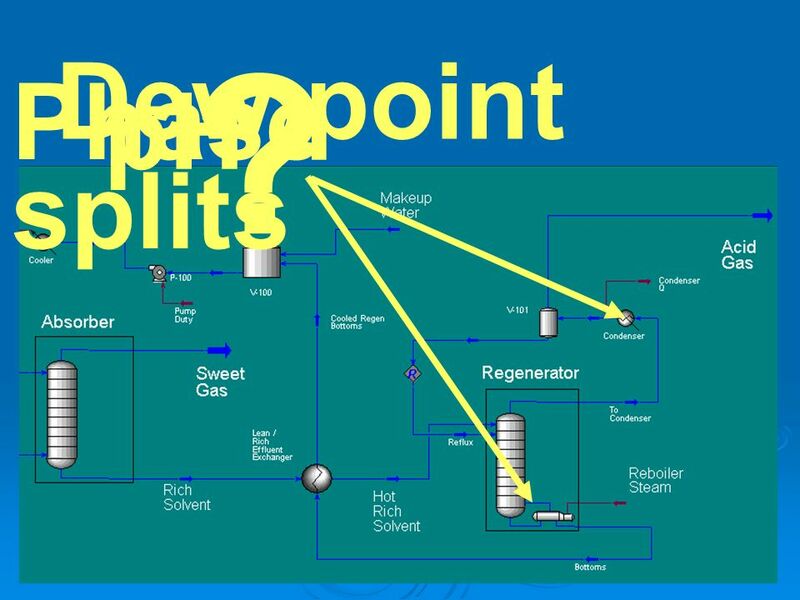 The arrows indicate how the potential is changing as one moves along the line. 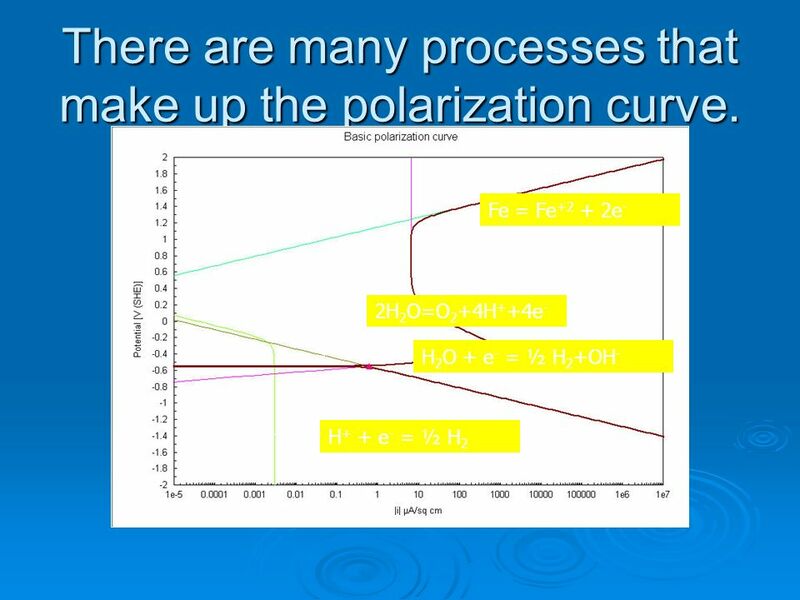 76 There are many processes that make up the polarization curve. 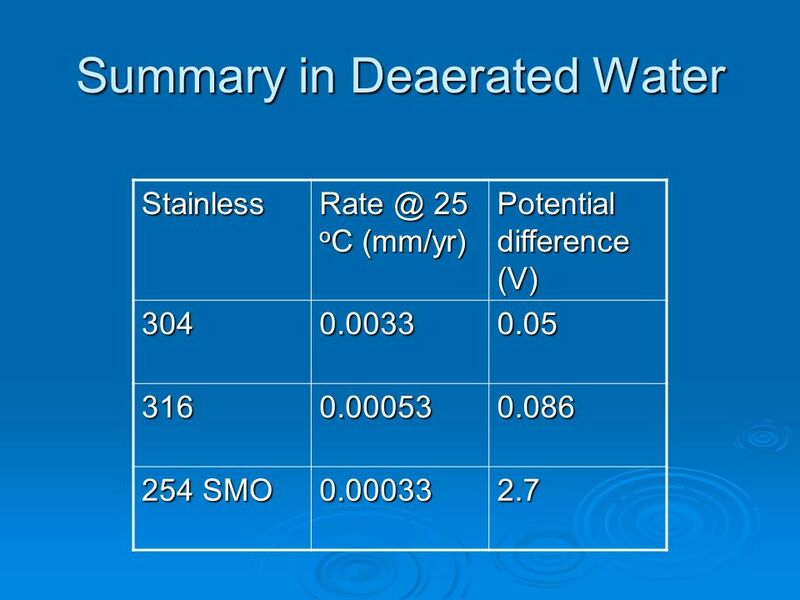 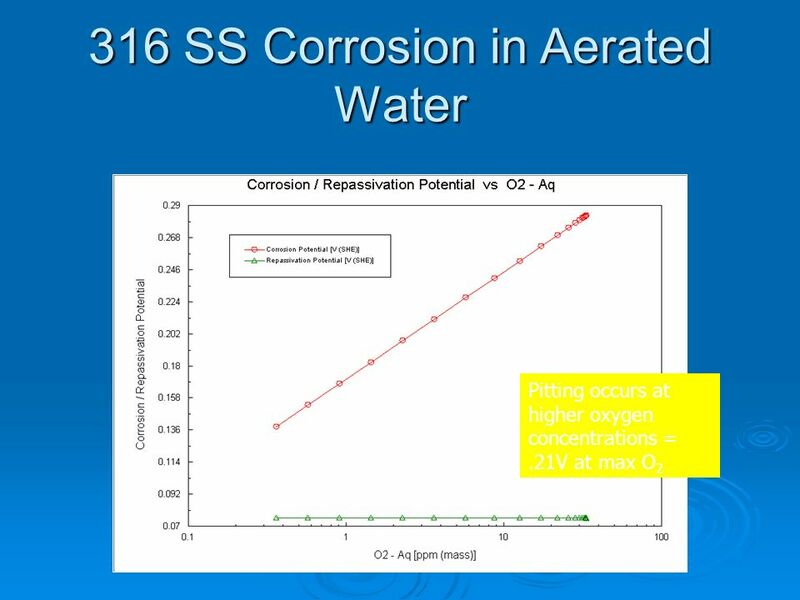 8 ppm O2 Corrosion potential shifted anodically of the repassivation potential. 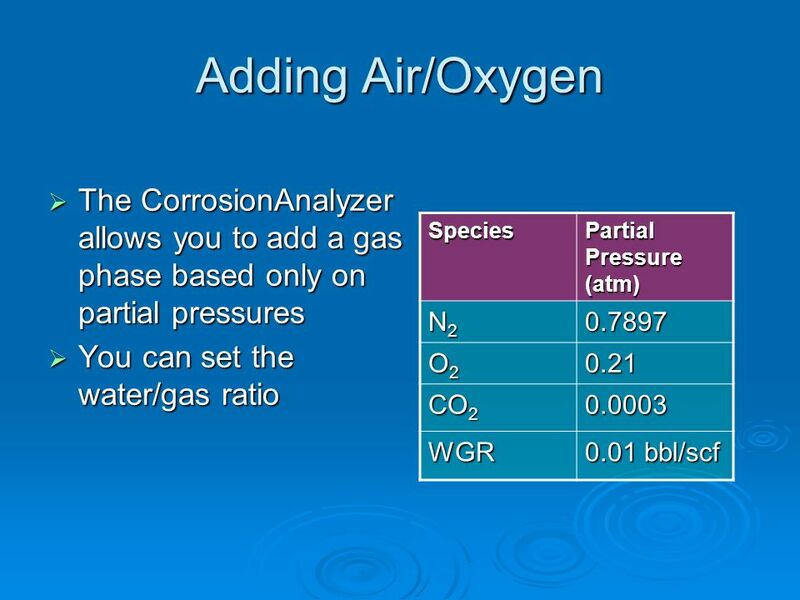 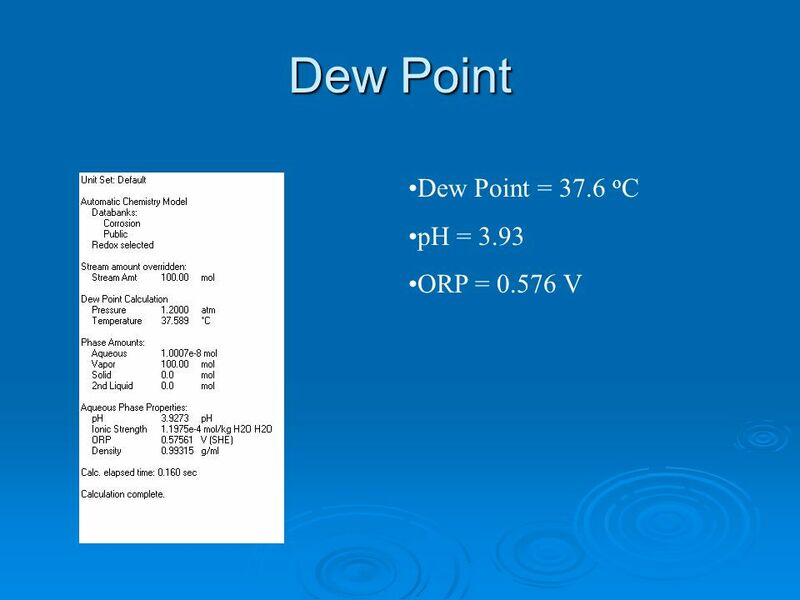 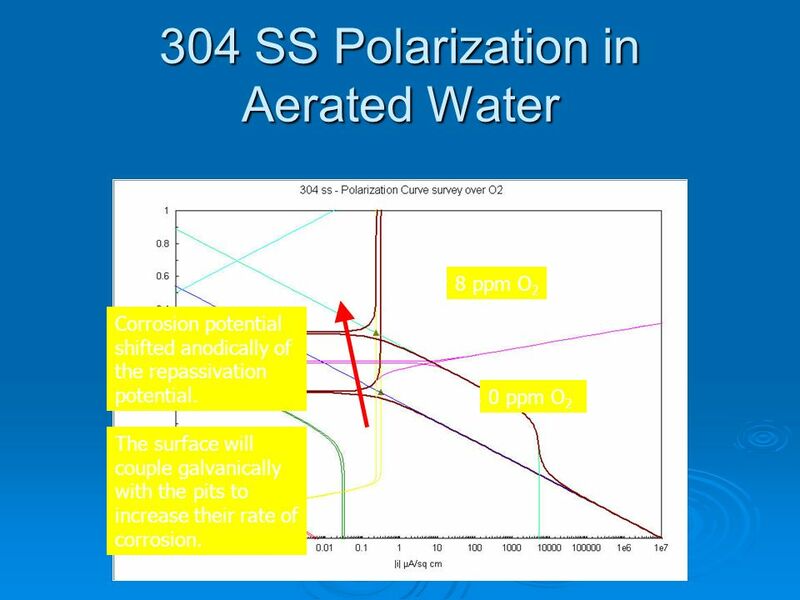 0 ppm O2 The surface will couple galvanically with the pits to increase their rate of corrosion. 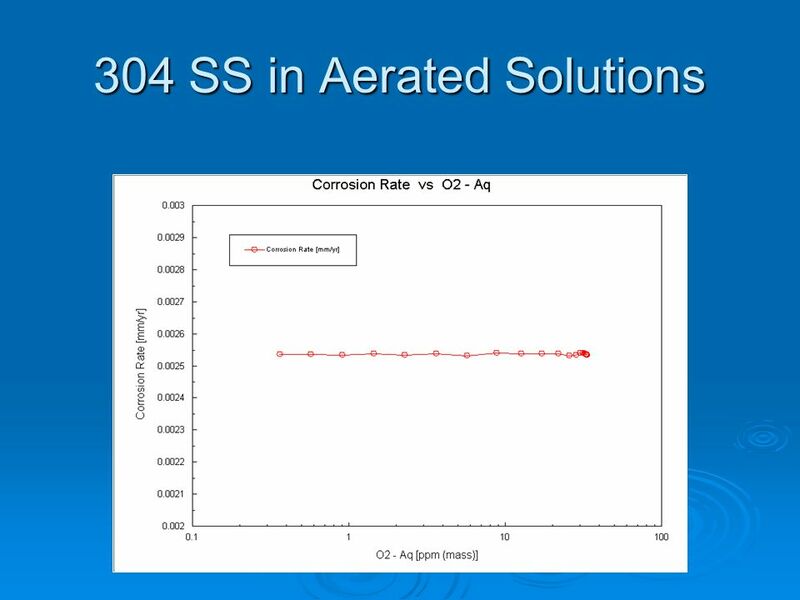 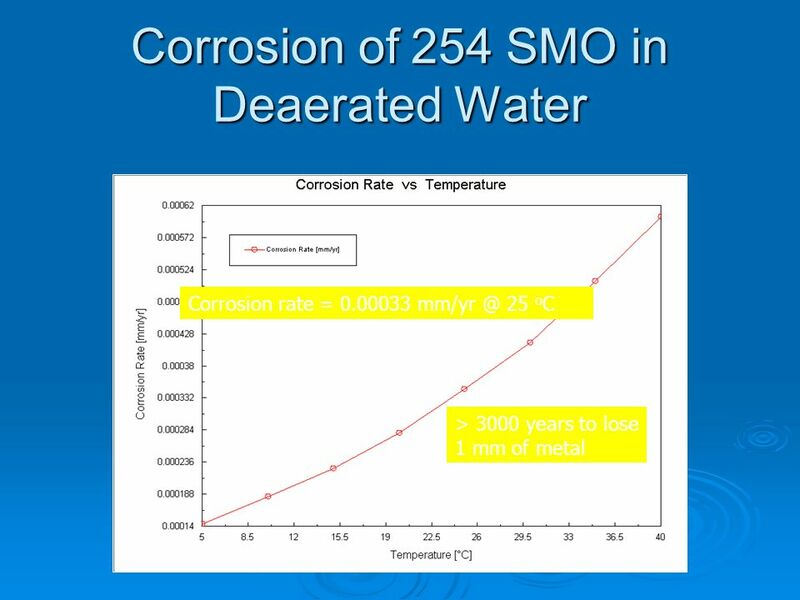 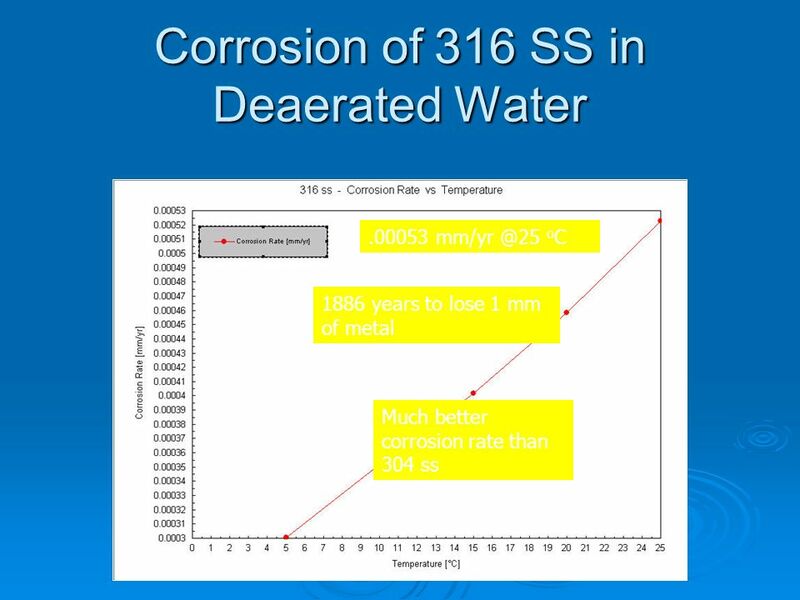 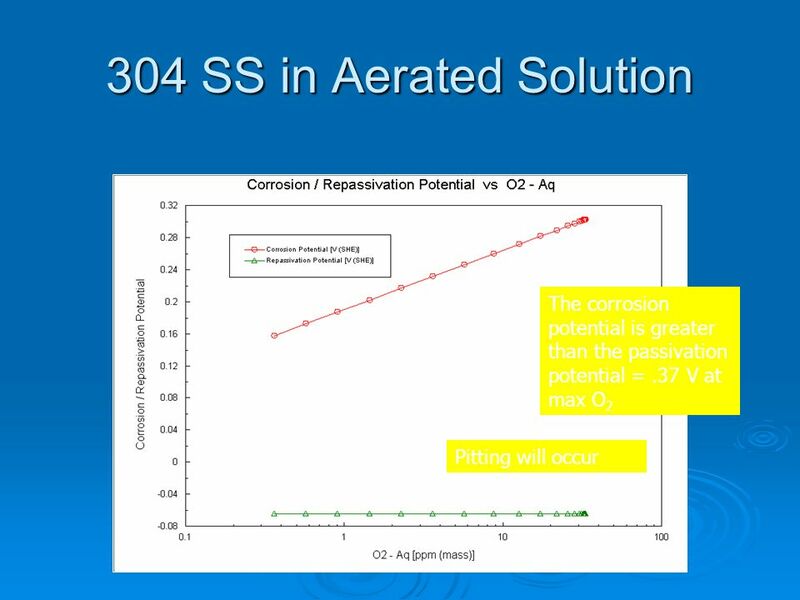 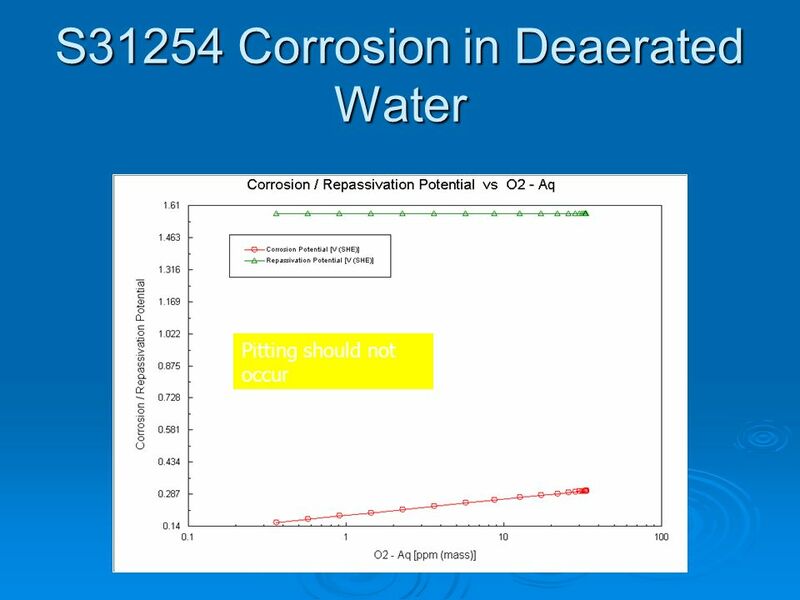 S31254 seems the best at 25 oC S31254 increased potential for pitting at higher temperatures Cathodic Protection Shifting of potential to less corrosive potentials via a sacrificial anode. 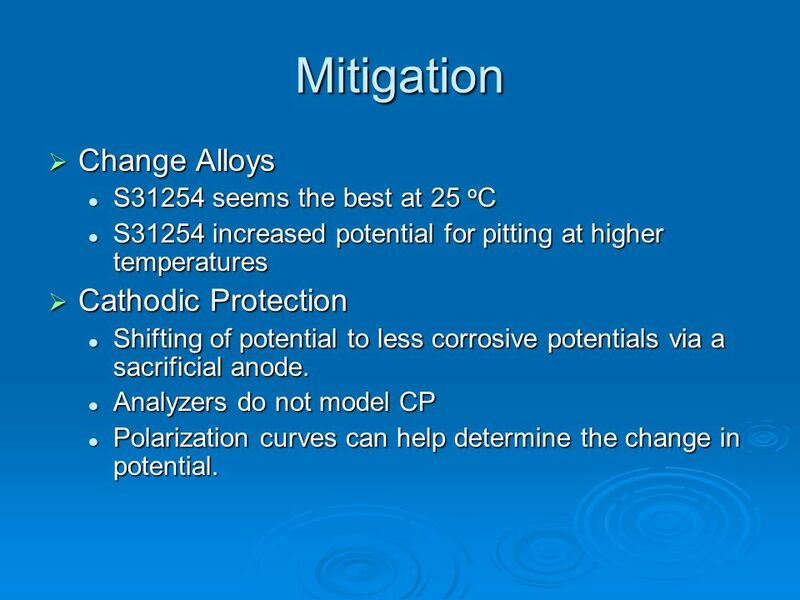 Analyzers do not model CP Polarization curves can help determine the change in potential. 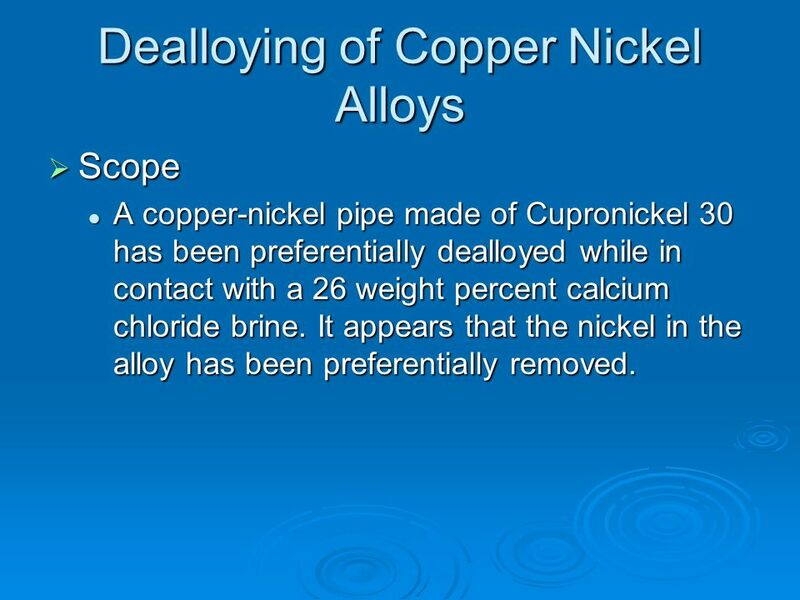 Scope A copper-nickel pipe made of Cupronickel 30 has been preferentially dealloyed while in contact with a 26 weight percent calcium chloride brine. 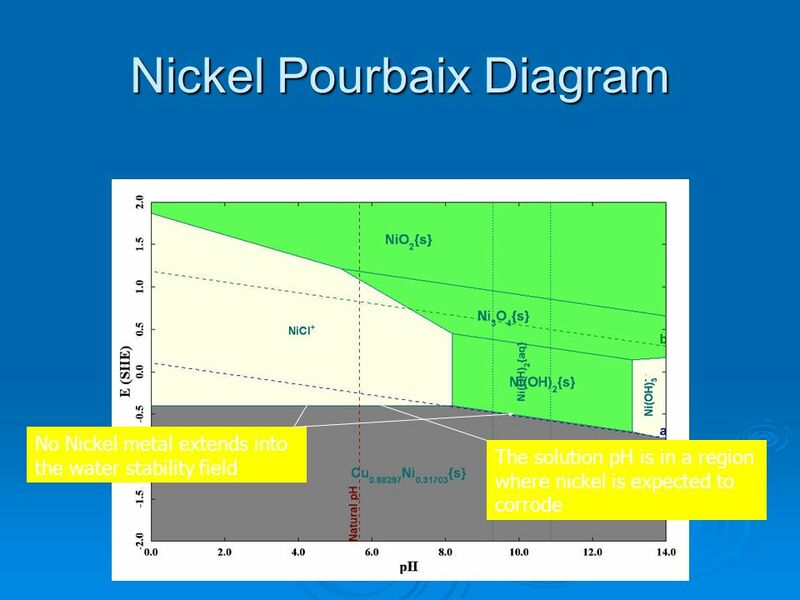 It appears that the nickel in the alloy has been preferentially removed. 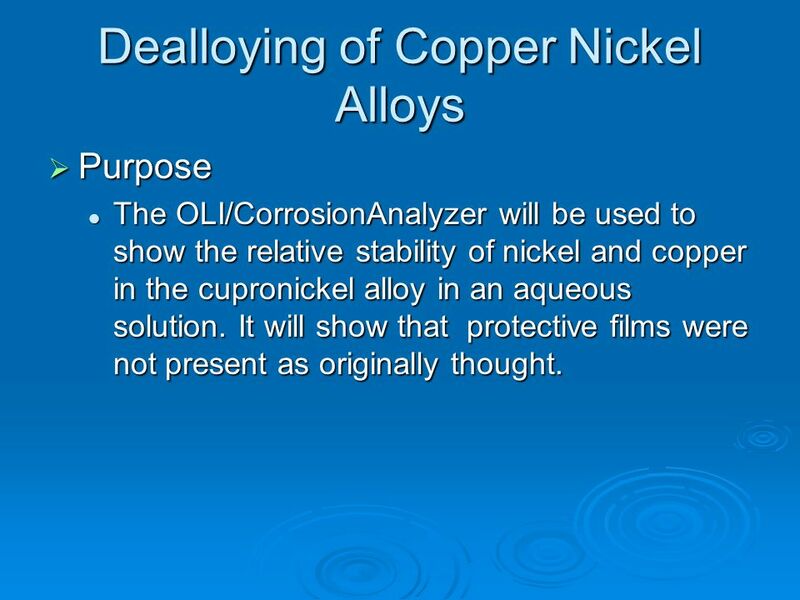 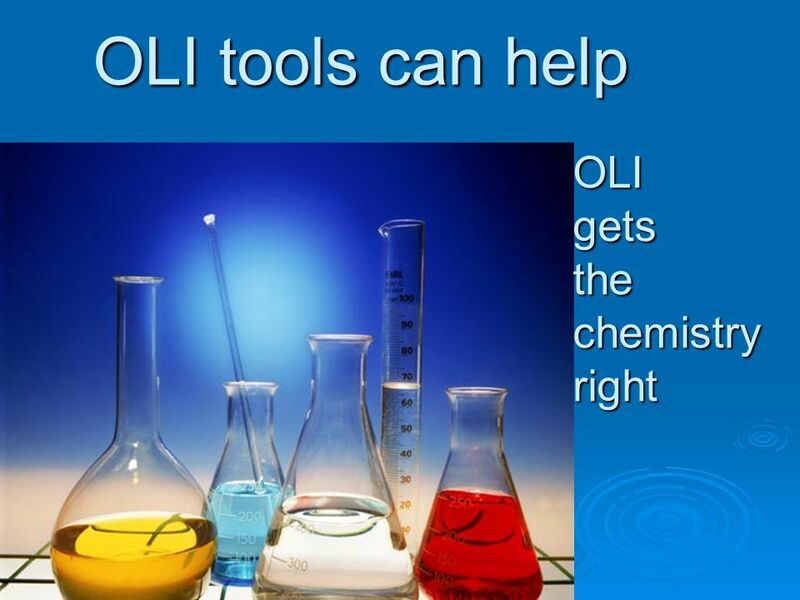 Purpose The OLI/CorrosionAnalyzer will be used to show the relative stability of nickel and copper in the cupronickel alloy in an aqueous solution. 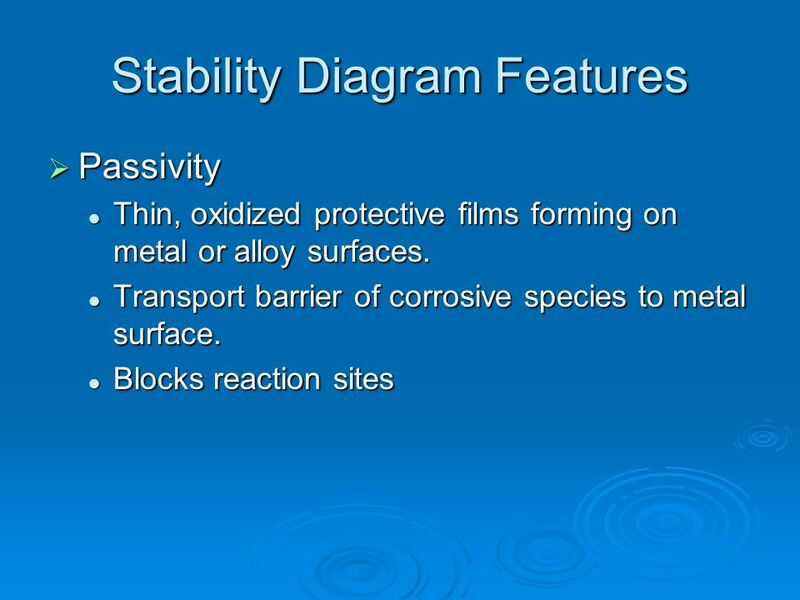 It will show that protective films were not present as originally thought. 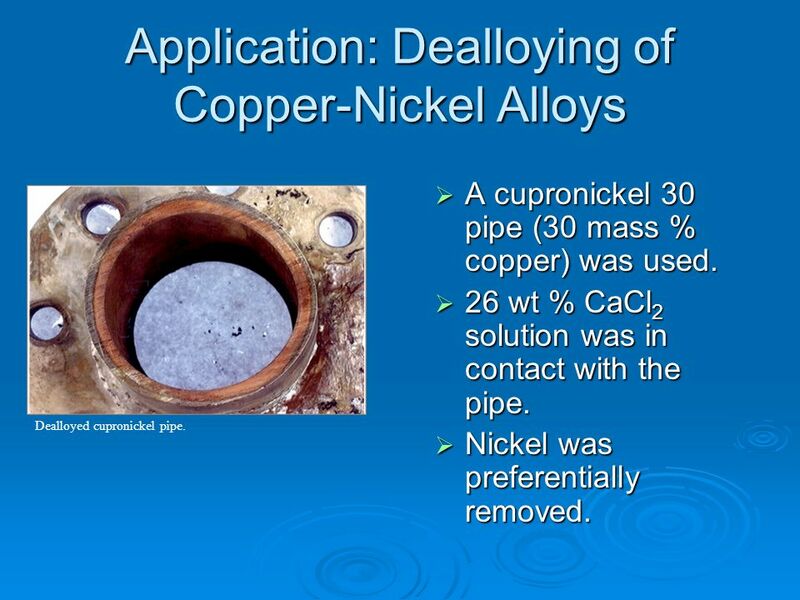 A cupronickel 30 pipe (30 mass % copper) was used. 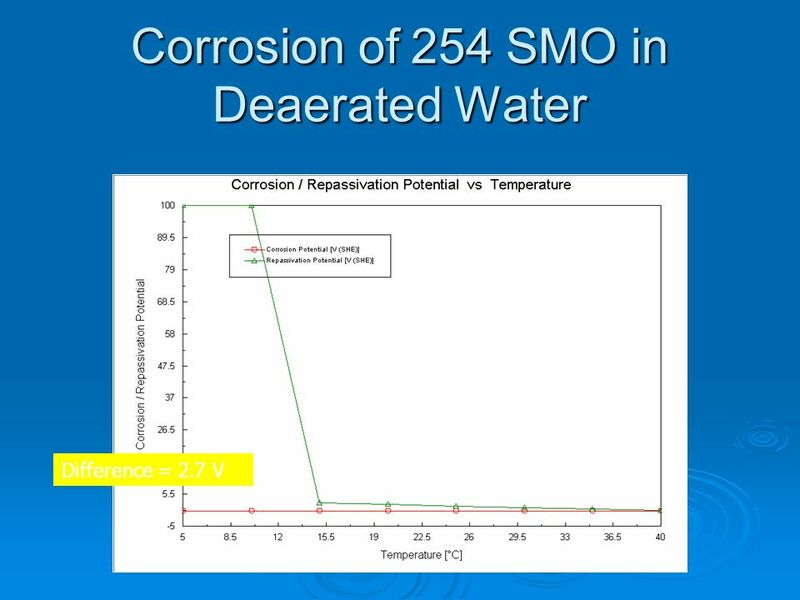 26 wt % CaCl2 solution was in contact with the pipe. 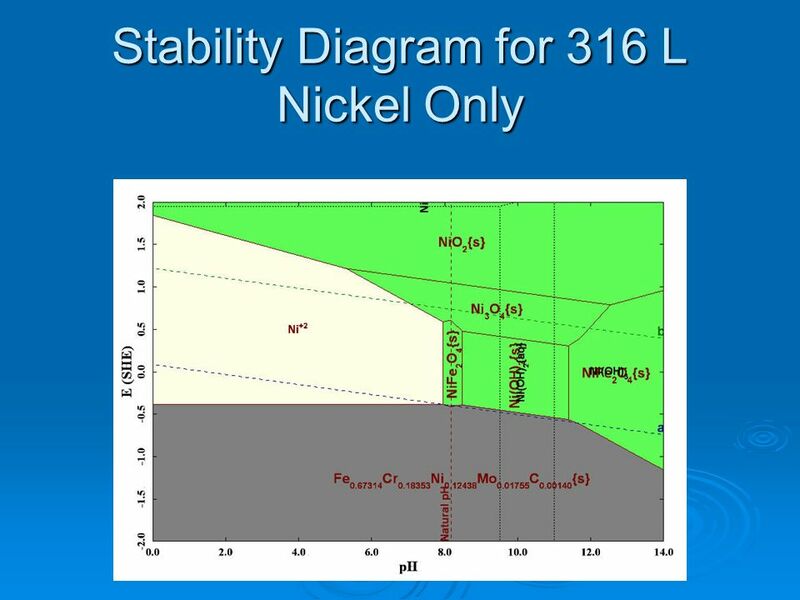 Nickel was preferentially removed. 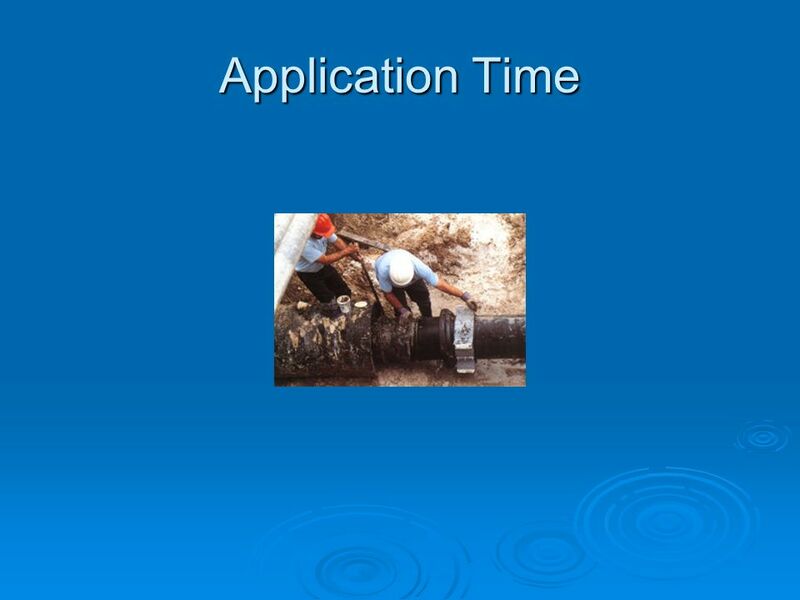 Dealloyed cupronickel pipe. 103 Questions? 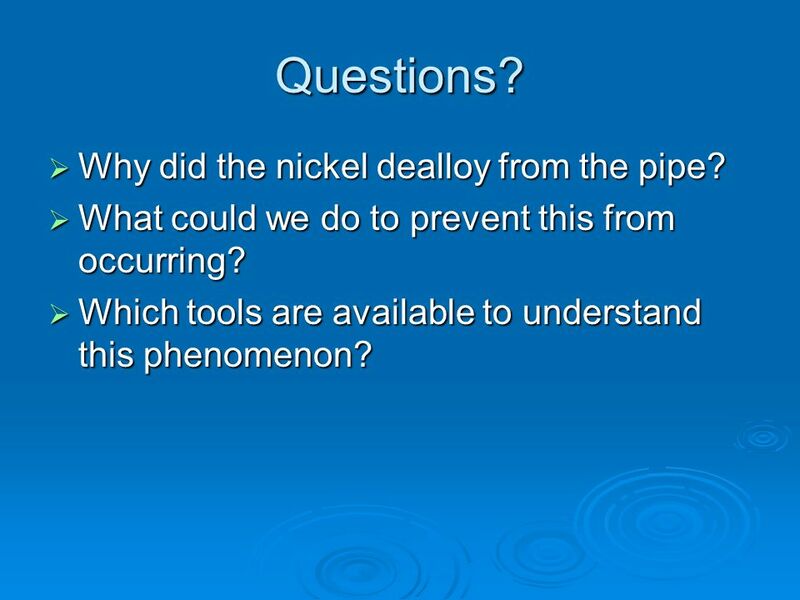 Why did the nickel dealloy from the pipe? 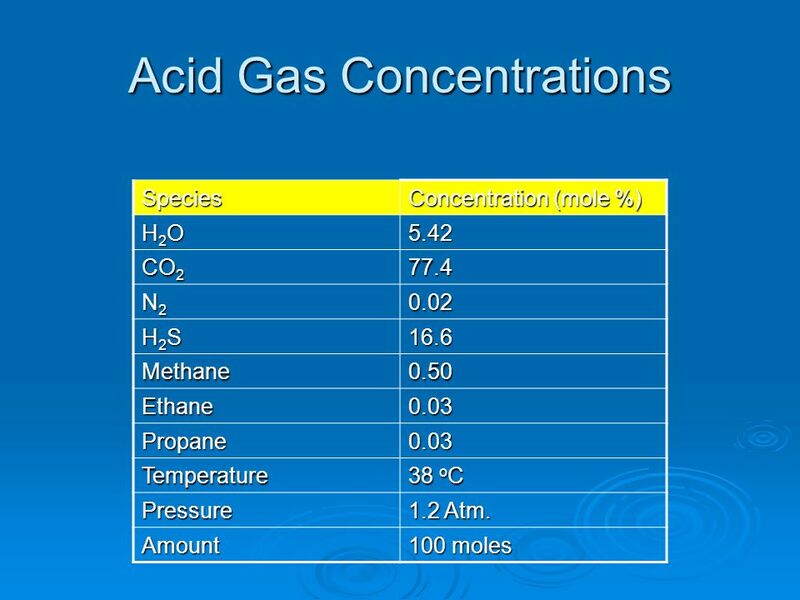 What could we do to prevent this from occurring? 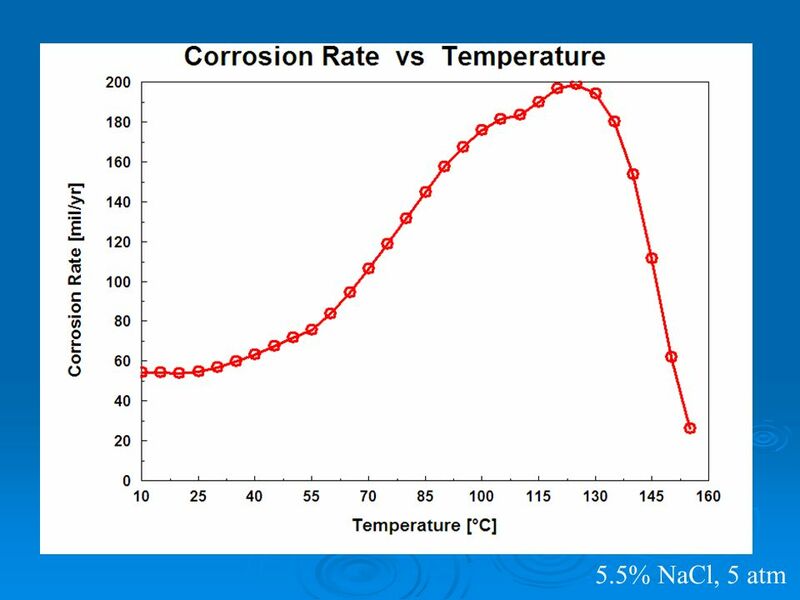 Which tools are available to understand this phenomenon? 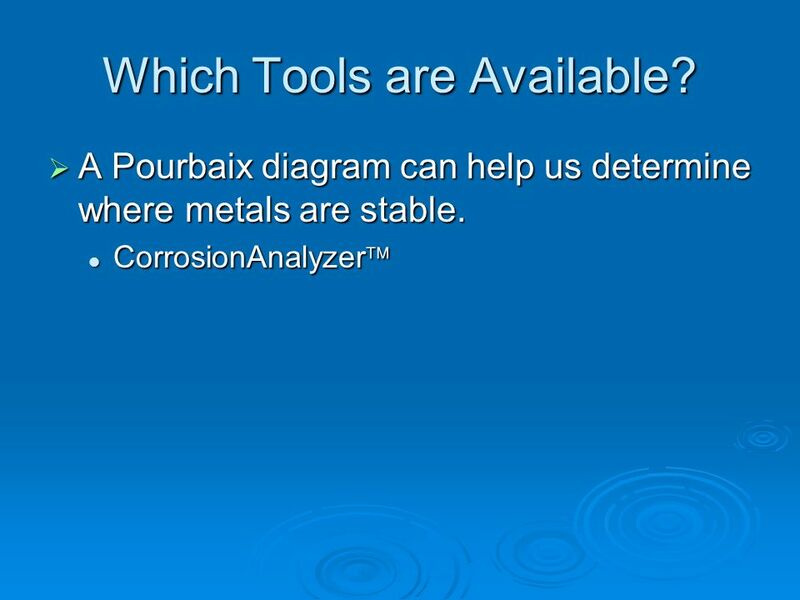 104 Which Tools are Available? 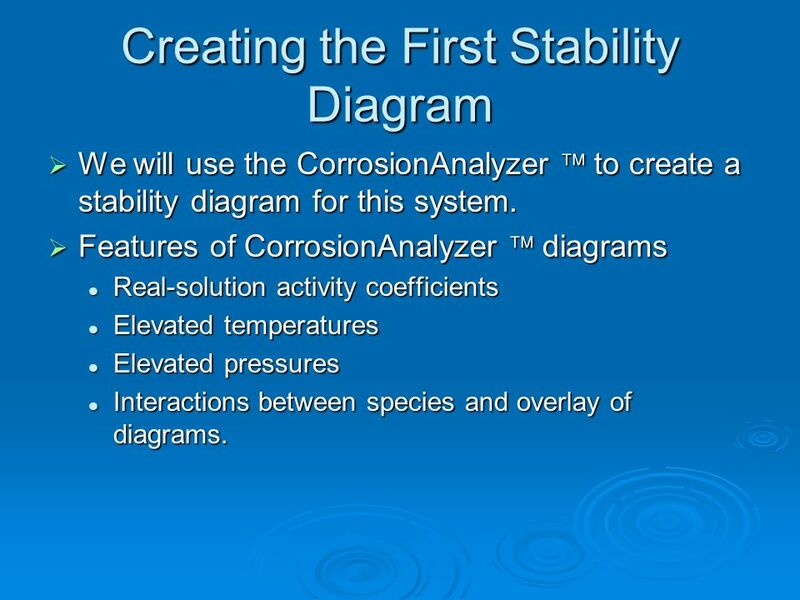 We will use the CorrosionAnalyzer  to create a stability diagram for this system. 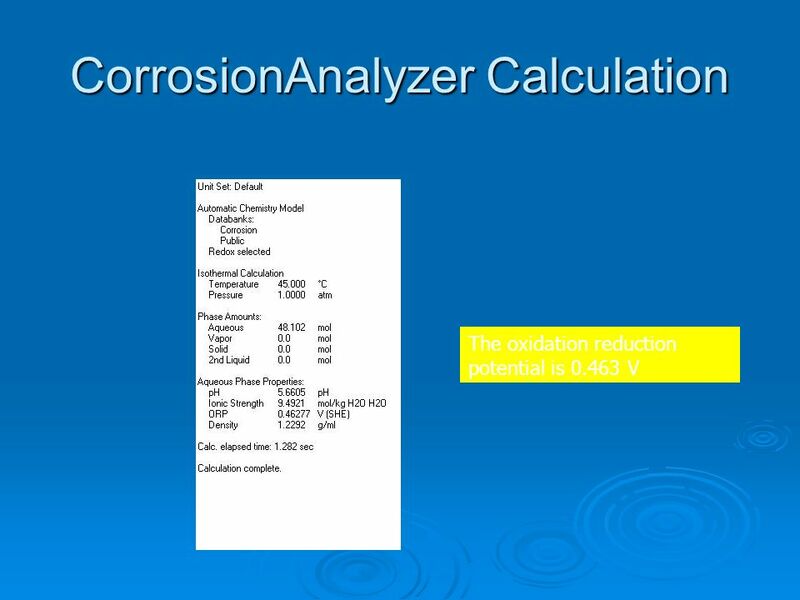 Features of CorrosionAnalyzer  diagrams Real-solution activity coefficients Elevated temperatures Elevated pressures Interactions between species and overlay of diagrams. 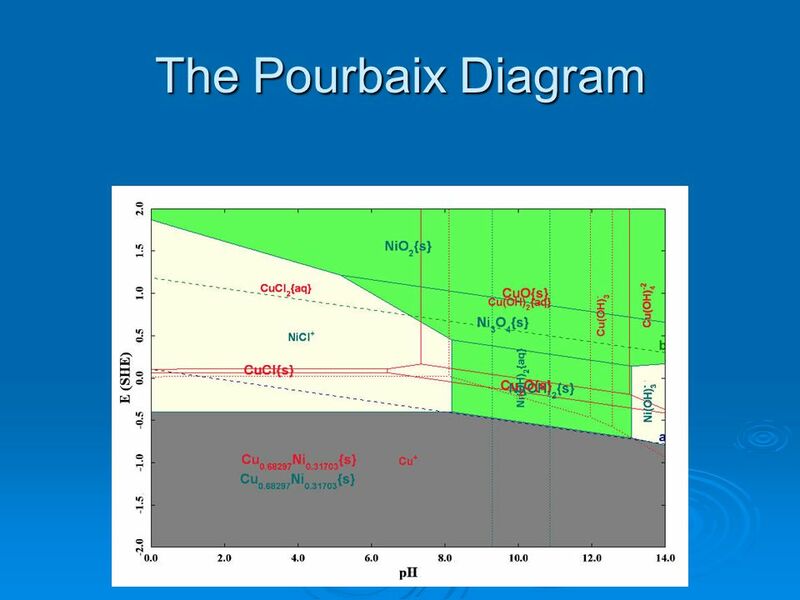 108 The Pourbaix Diagram There are quite a few things to look at on this diagram. 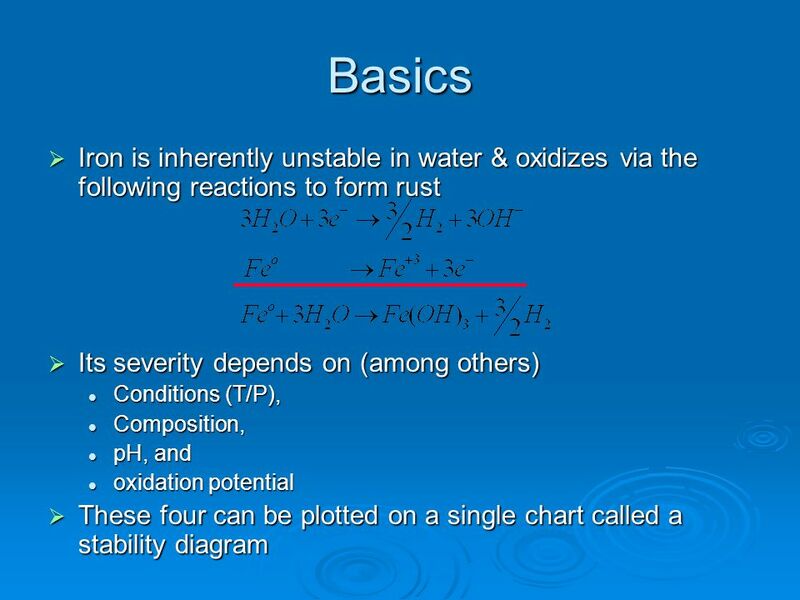 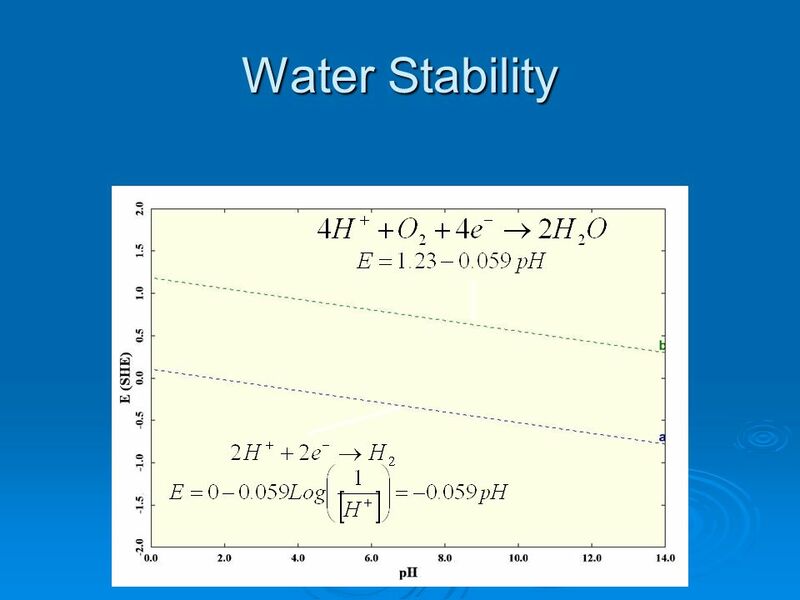 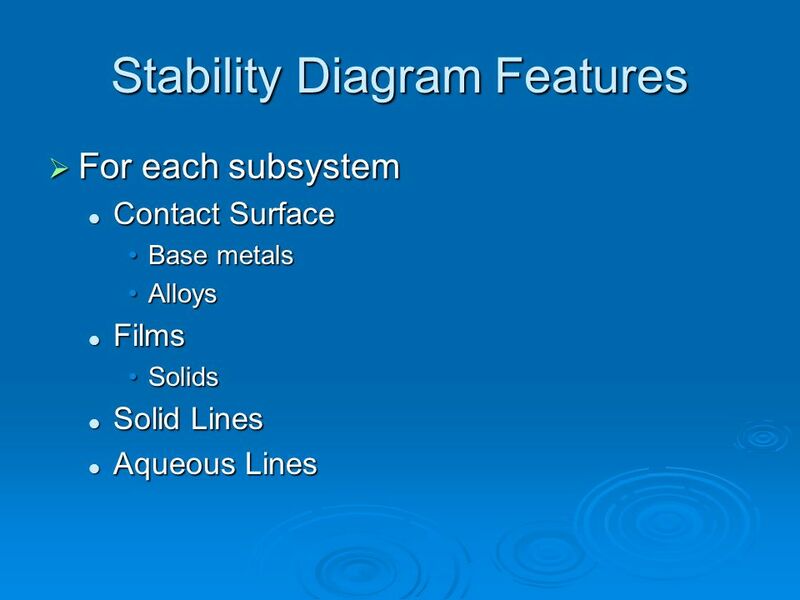 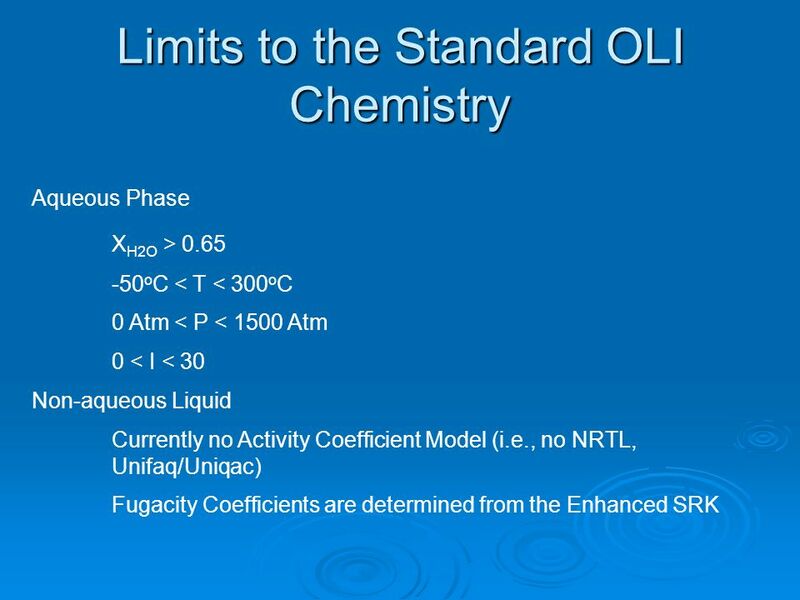 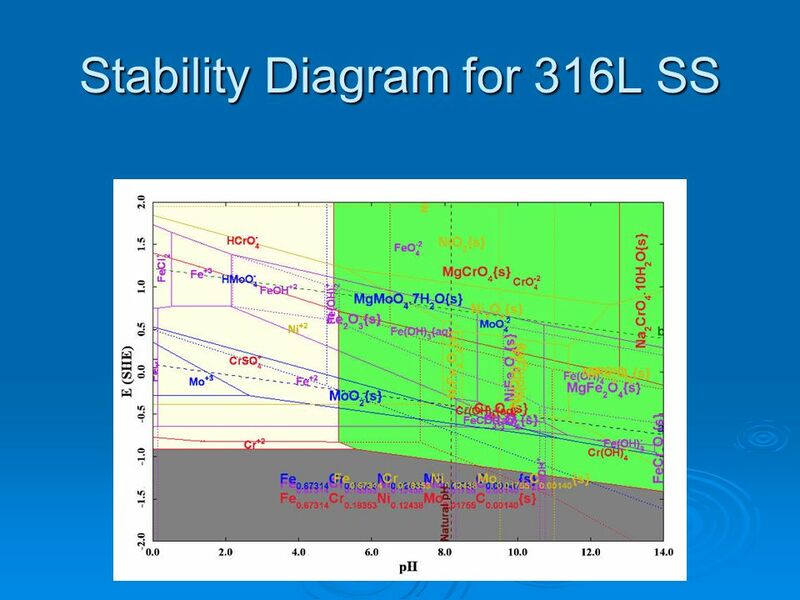 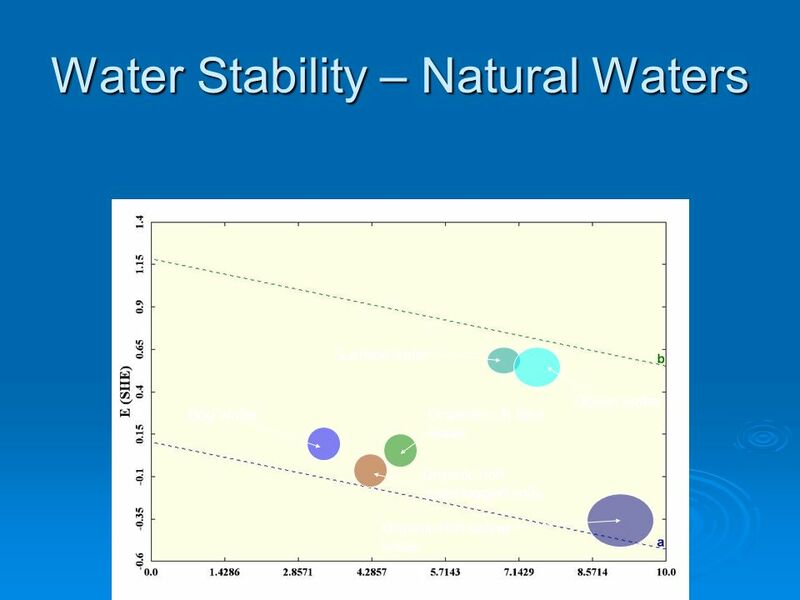 Stability field for water Stability fields for nickel metal and copper metal Stability fields for nickel and copper oxides Stability fields for aqueous species. 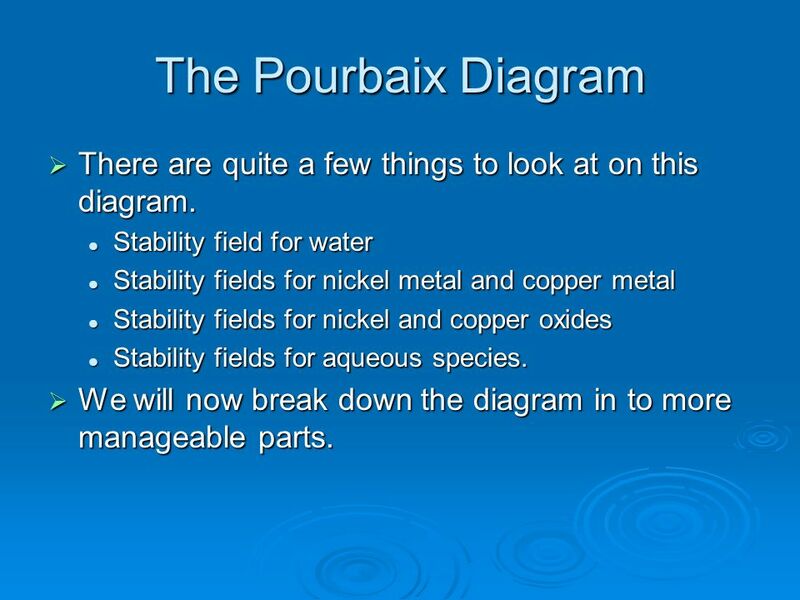 We will now break down the diagram in to more manageable parts. 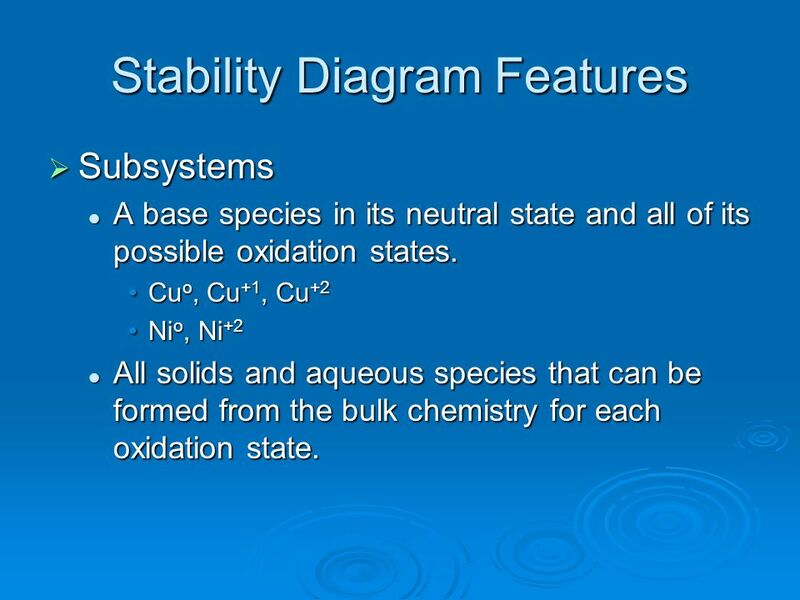 Subsystems A base species in its neutral state and all of its possible oxidation states. Cuo, Cu+1, Cu+2 Nio, Ni+2 All solids and aqueous species that can be formed from the bulk chemistry for each oxidation state. 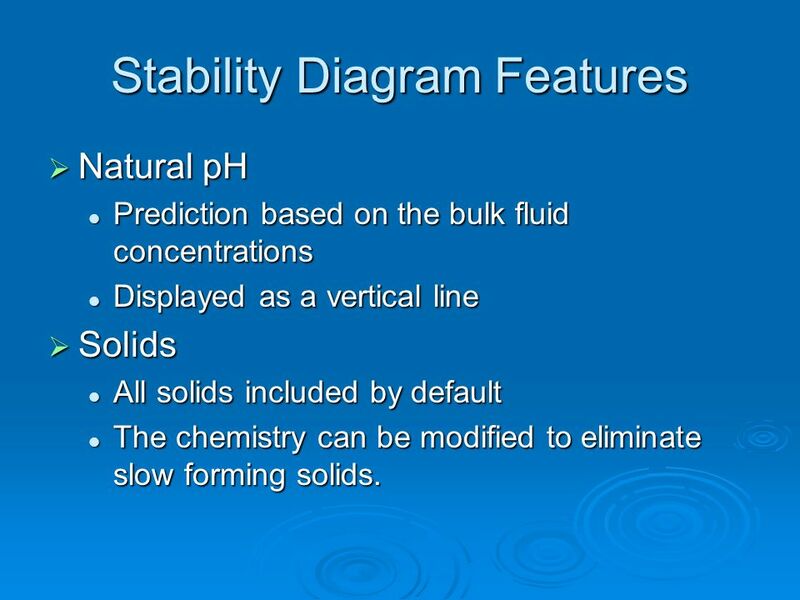 Natural pH Prediction based on the bulk fluid concentrations Displayed as a vertical line Solids All solids included by default The chemistry can be modified to eliminate slow forming solids. 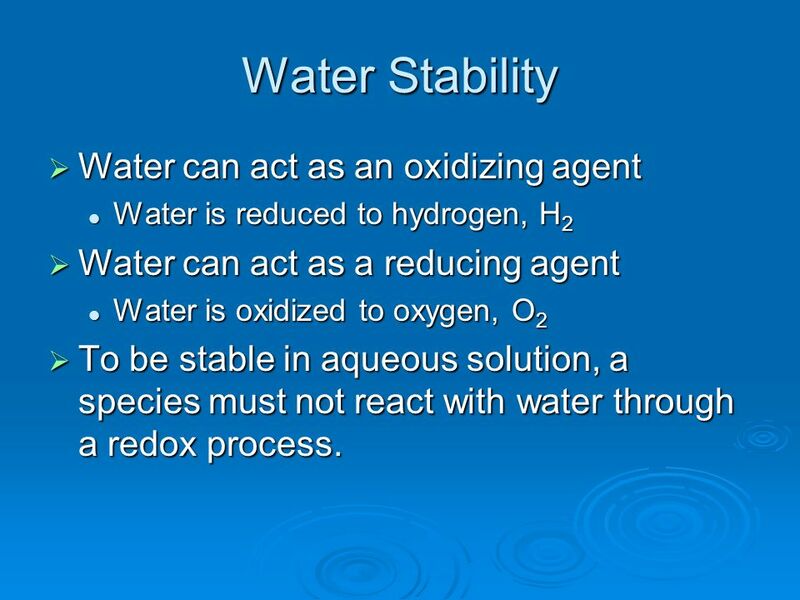 Water is reduced to hydrogen, H2 Water can act as a reducing agent Water is oxidized to oxygen, O2 To be stable in aqueous solution, a species must not react with water through a redox process. 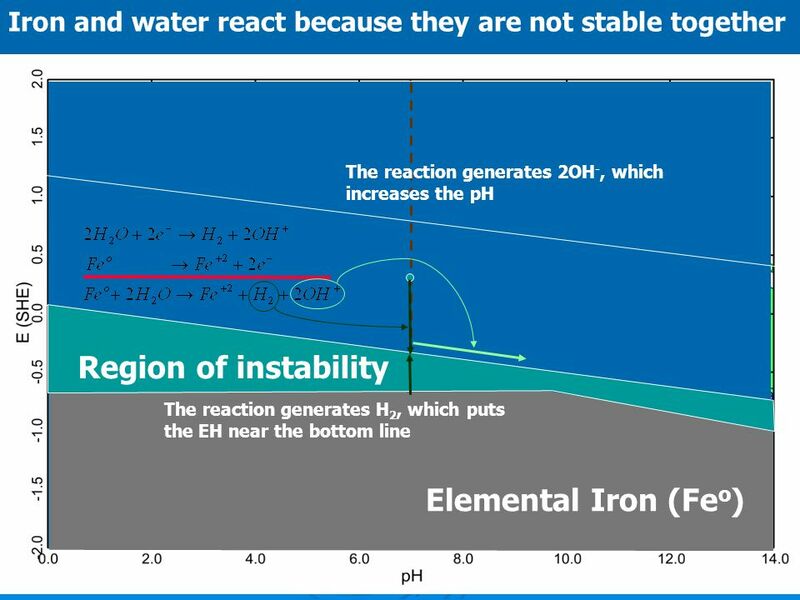 Stable copper metal in alloy extending into water stability field. 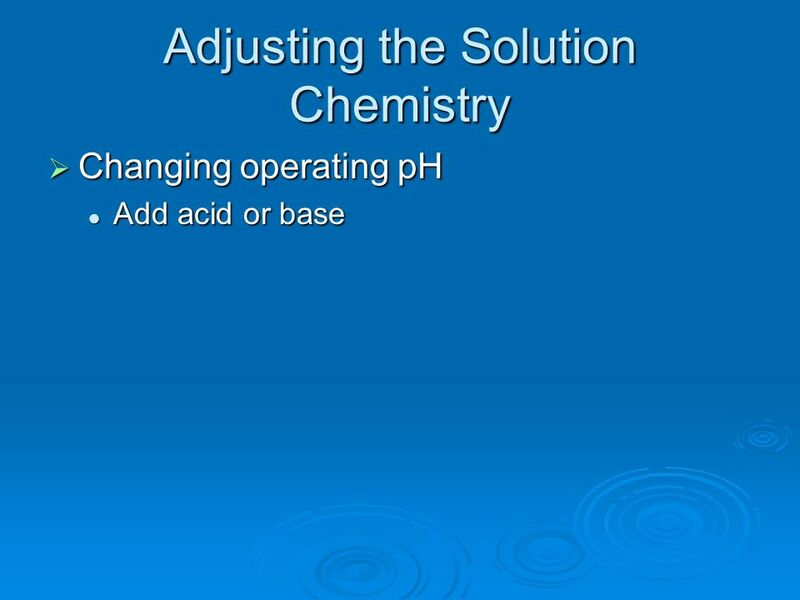 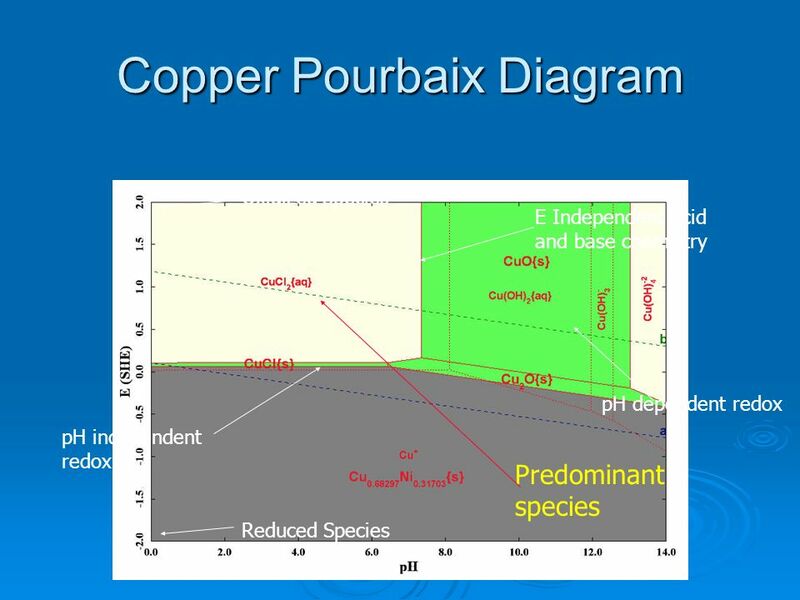 The solution pH is in a region where the copper metal will be stable. 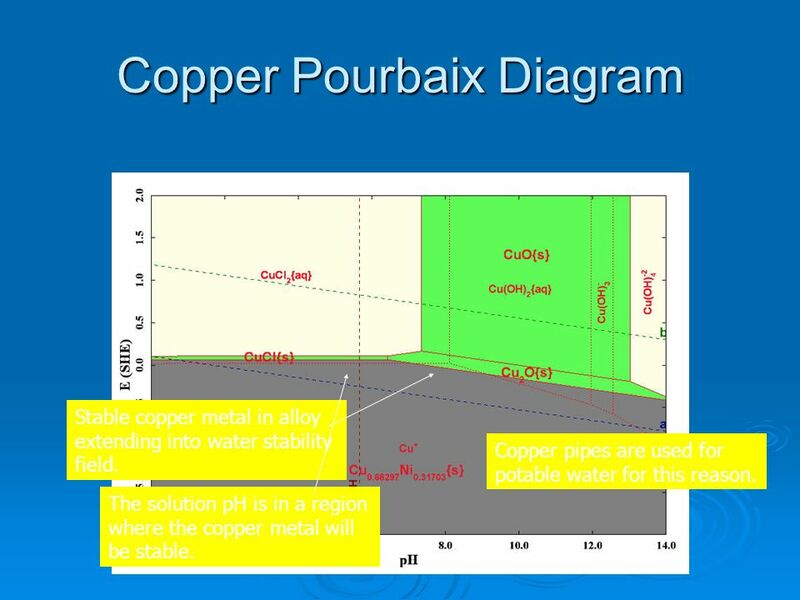 Copper pipes are used for potable water for this reason. 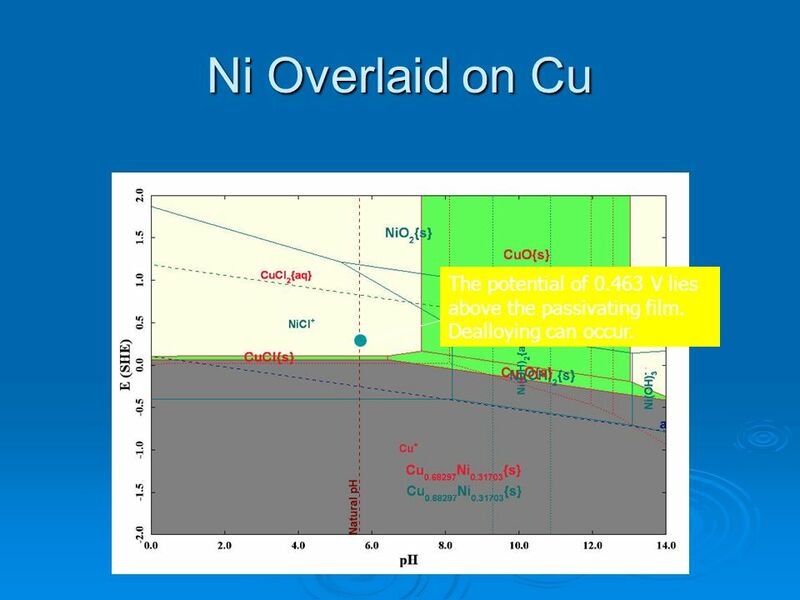 124 Ni Overlaid on Cu The potential of V lies above the passivating film. 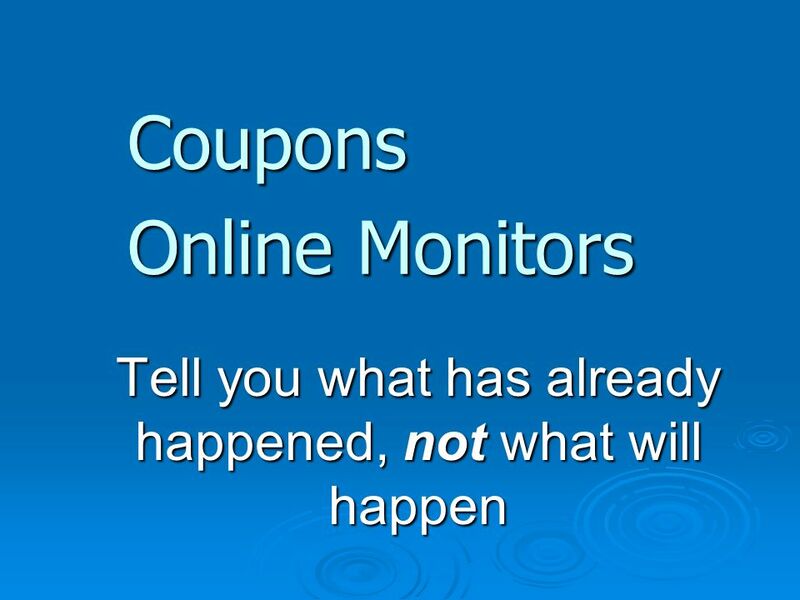 Dealloying can occur. 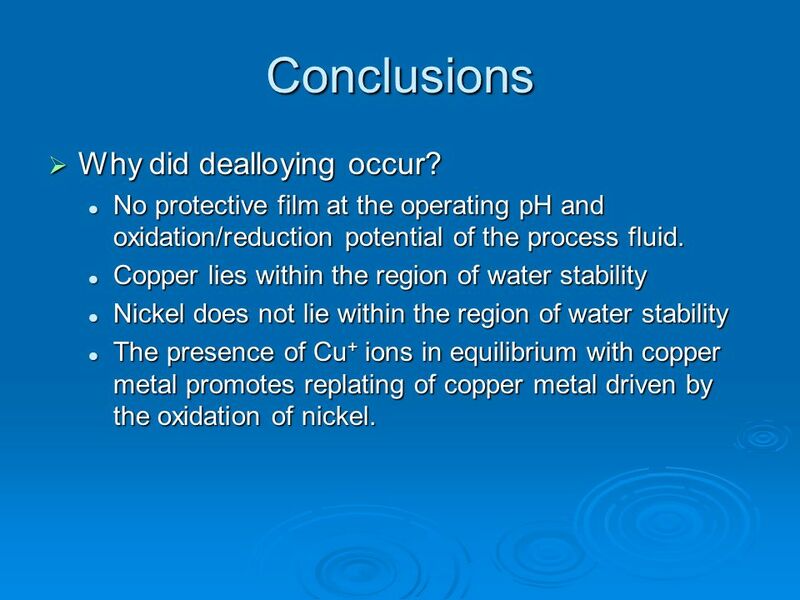 125 Conclusions Why did dealloying occur? 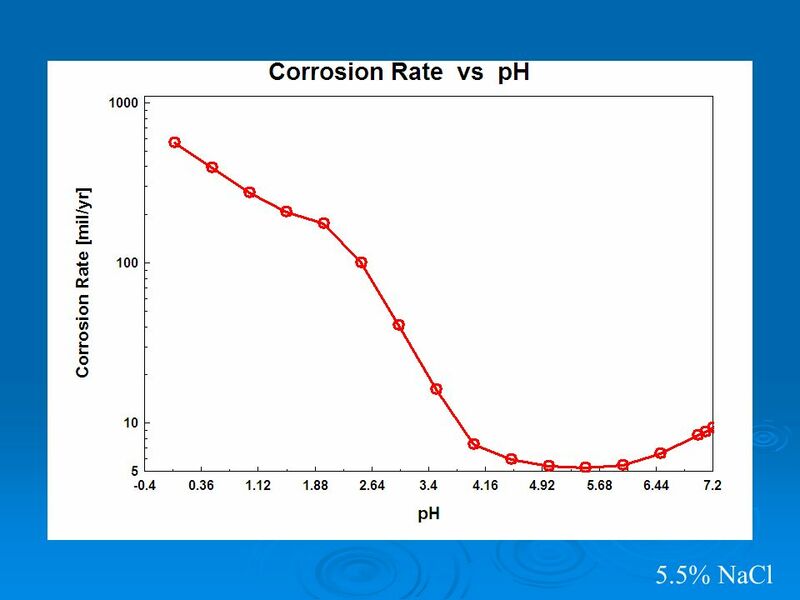 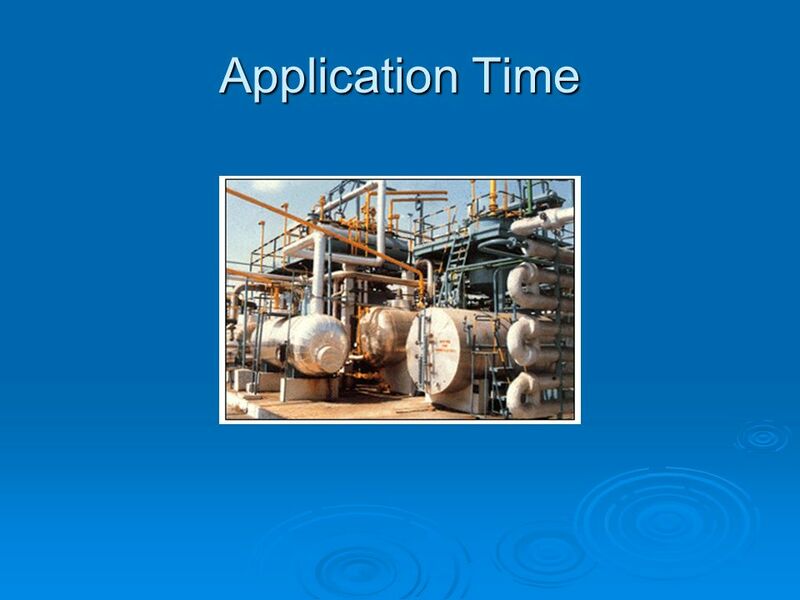 No protective film at the operating pH and oxidation/reduction potential of the process fluid. 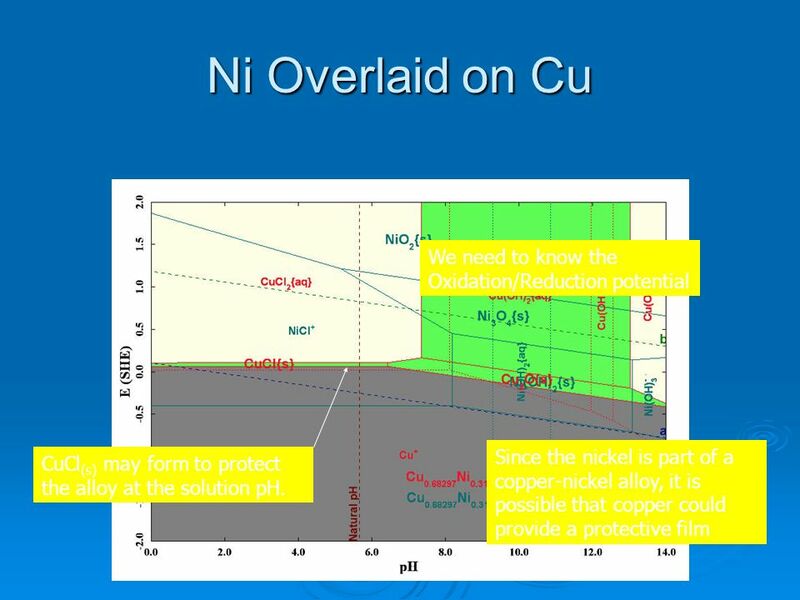 Copper lies within the region of water stability Nickel does not lie within the region of water stability The presence of Cu+ ions in equilibrium with copper metal promotes replating of copper metal driven by the oxidation of nickel. 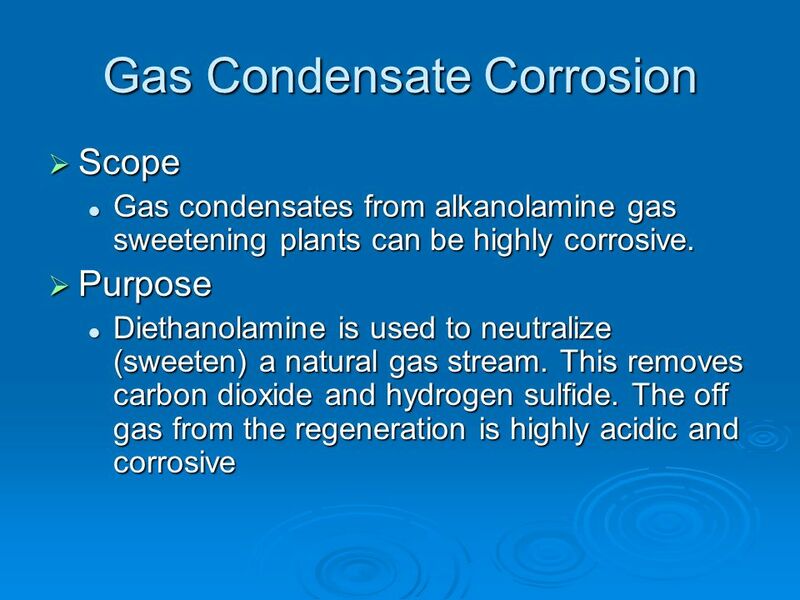 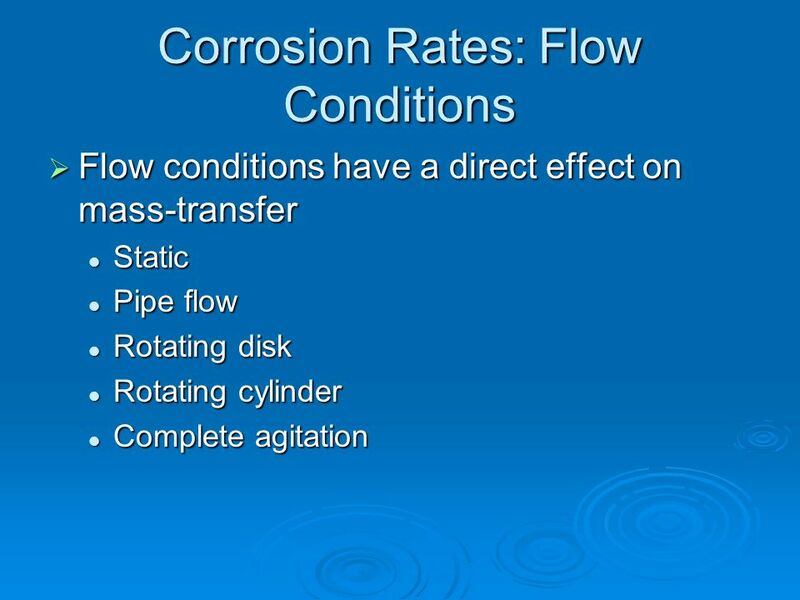 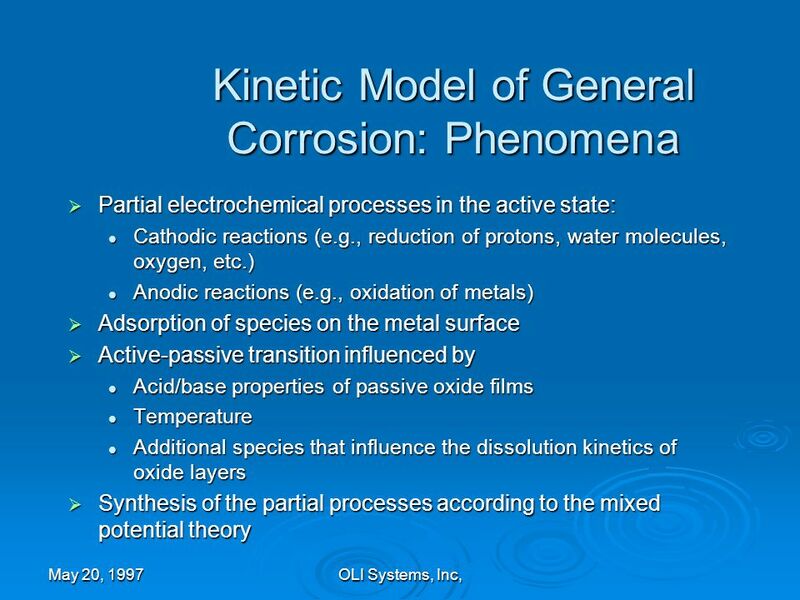 No information on corrosion kinetics is provided. 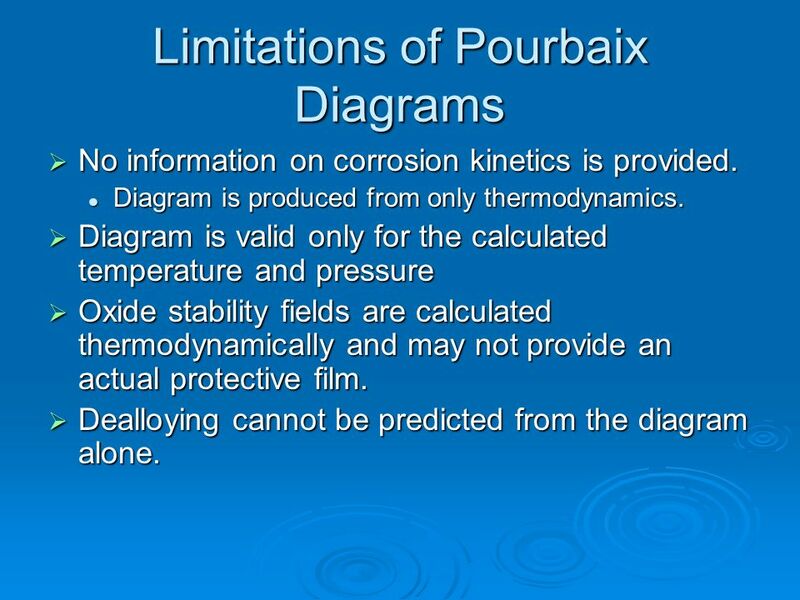 Diagram is produced from only thermodynamics. 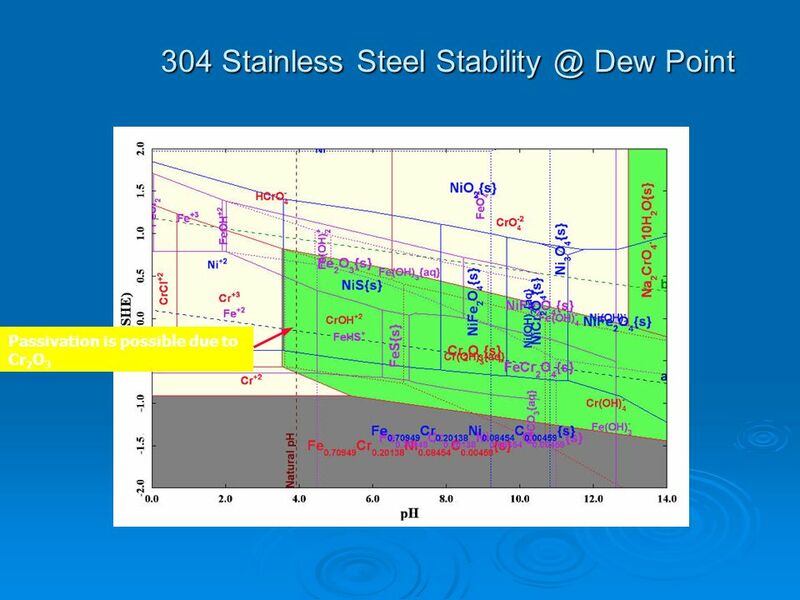 Diagram is valid only for the calculated temperature and pressure Oxide stability fields are calculated thermodynamically and may not provide an actual protective film. 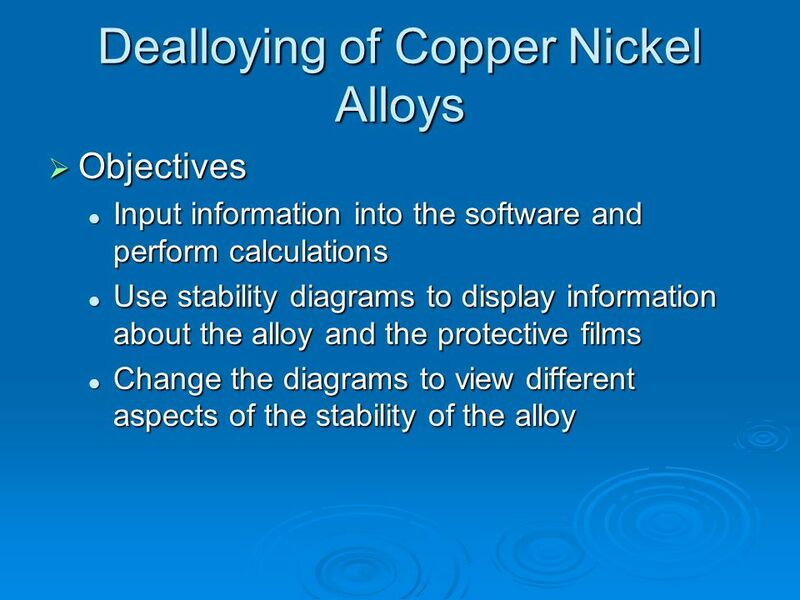 Dealloying cannot be predicted from the diagram alone. 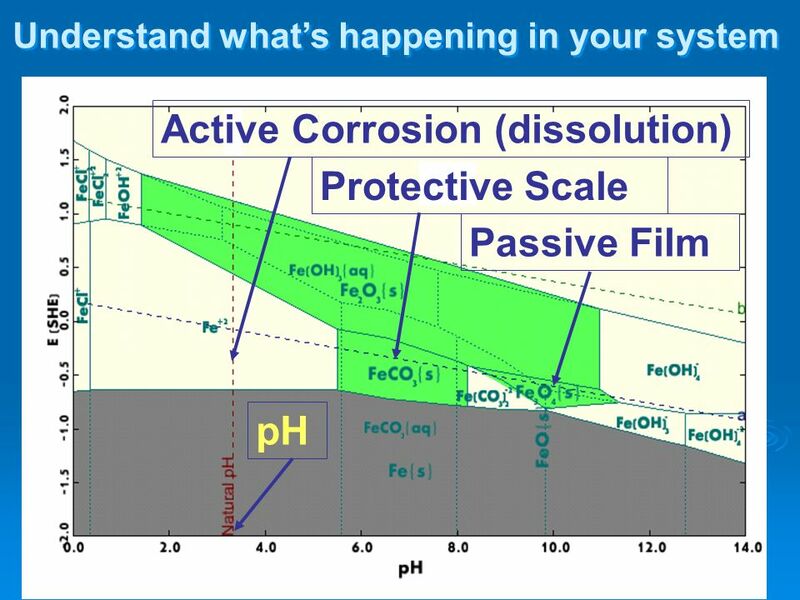 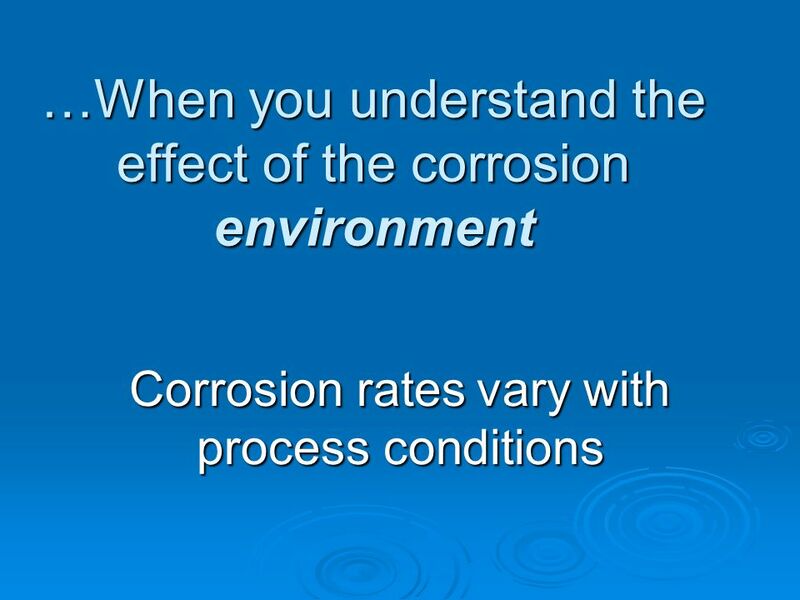 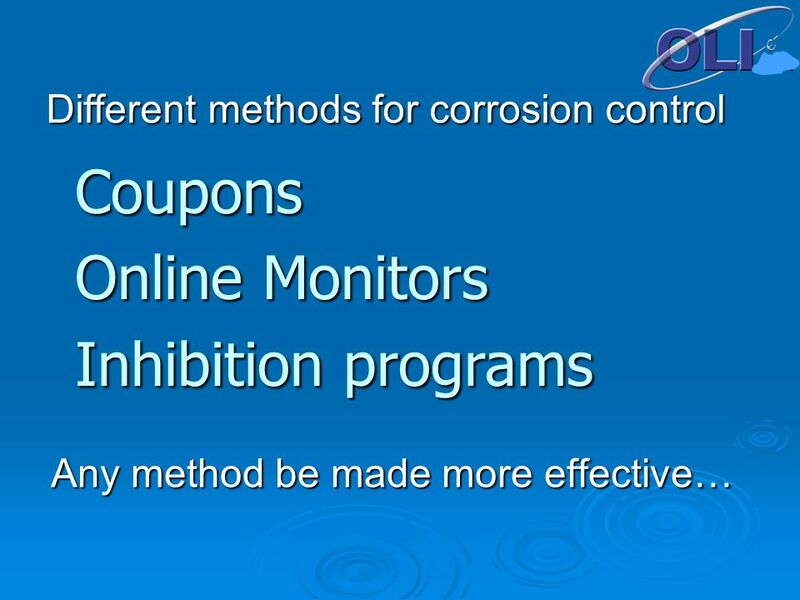 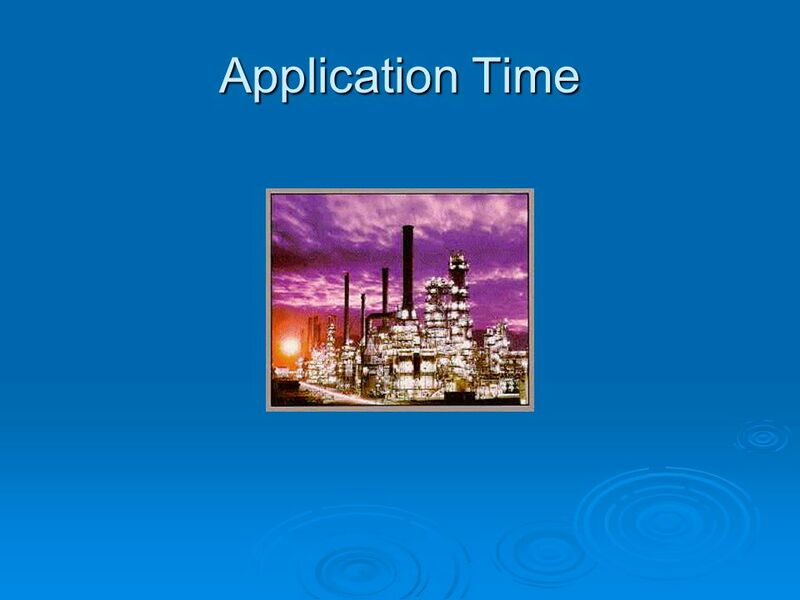 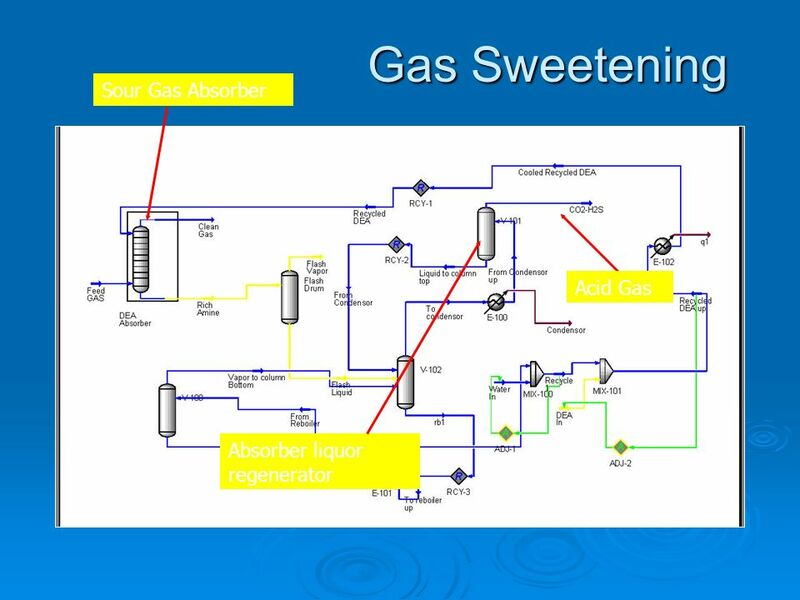 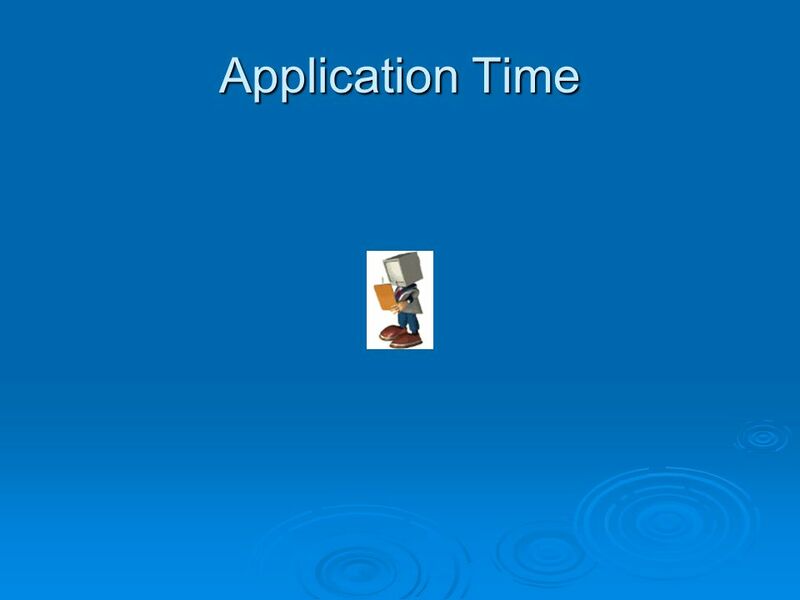 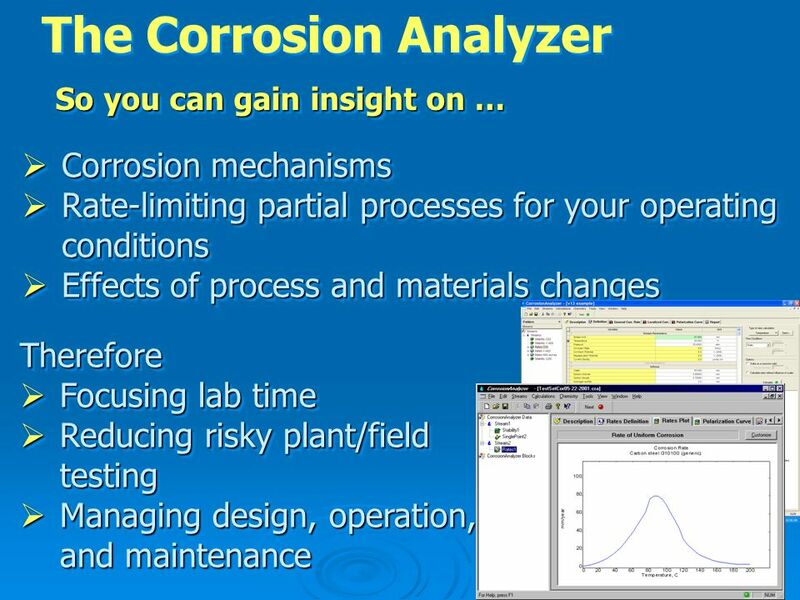 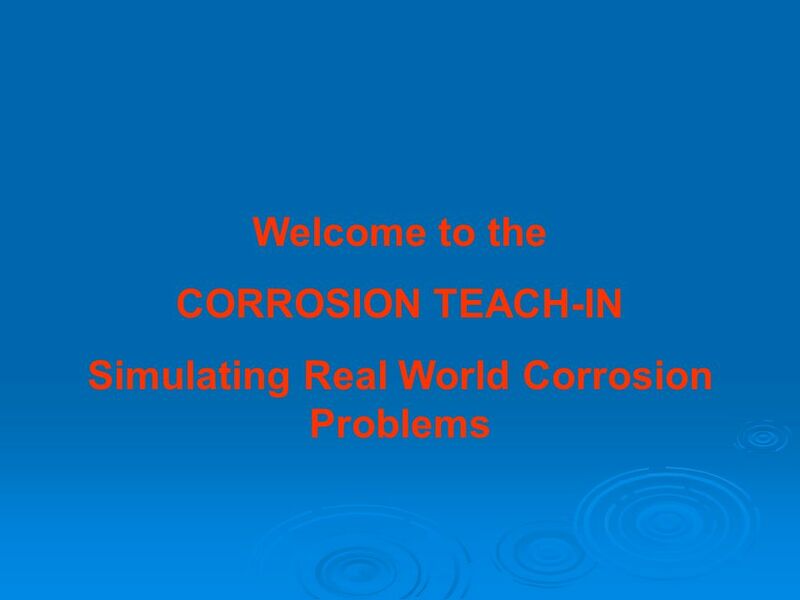 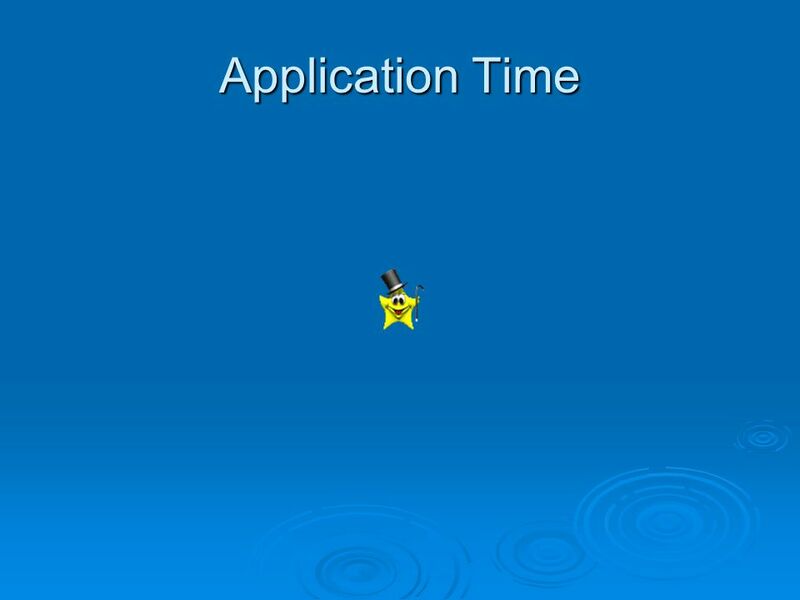 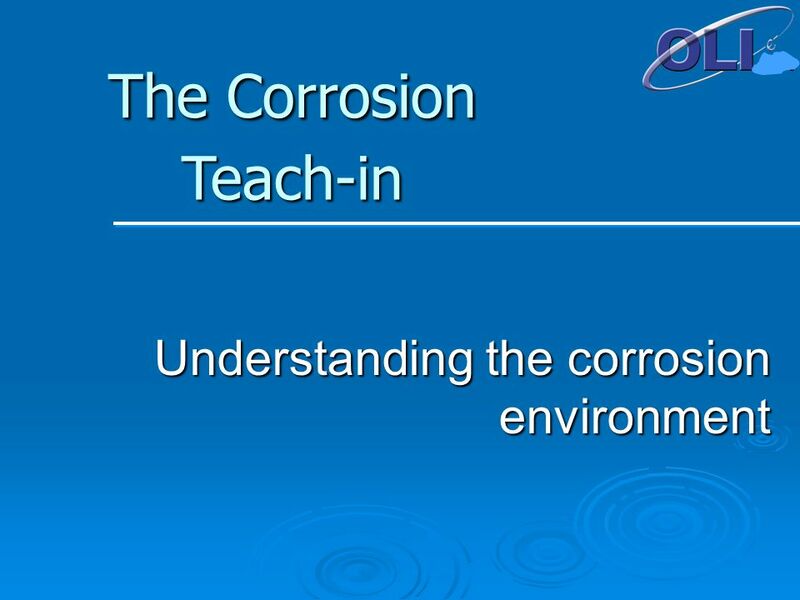 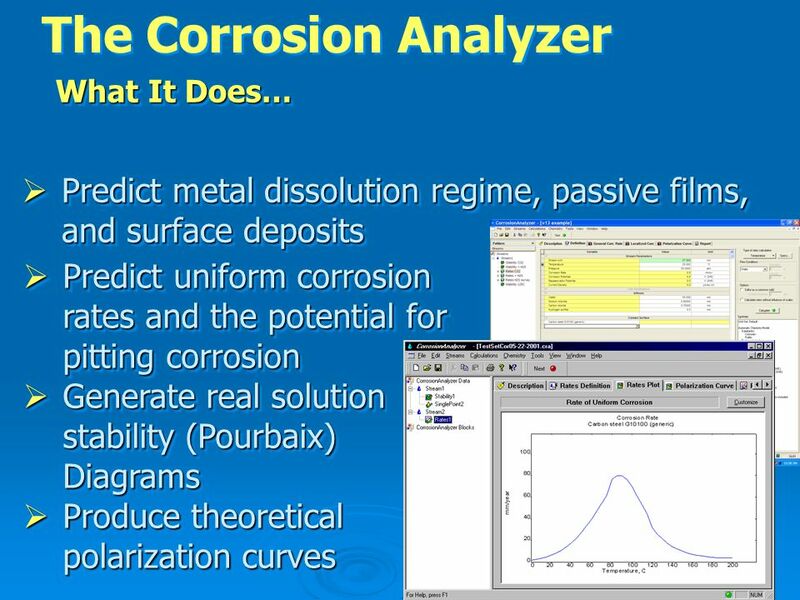 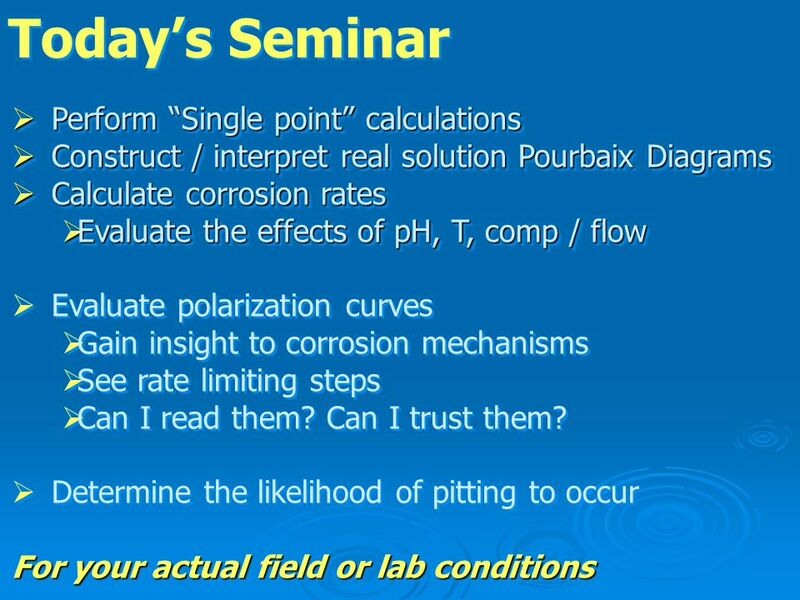 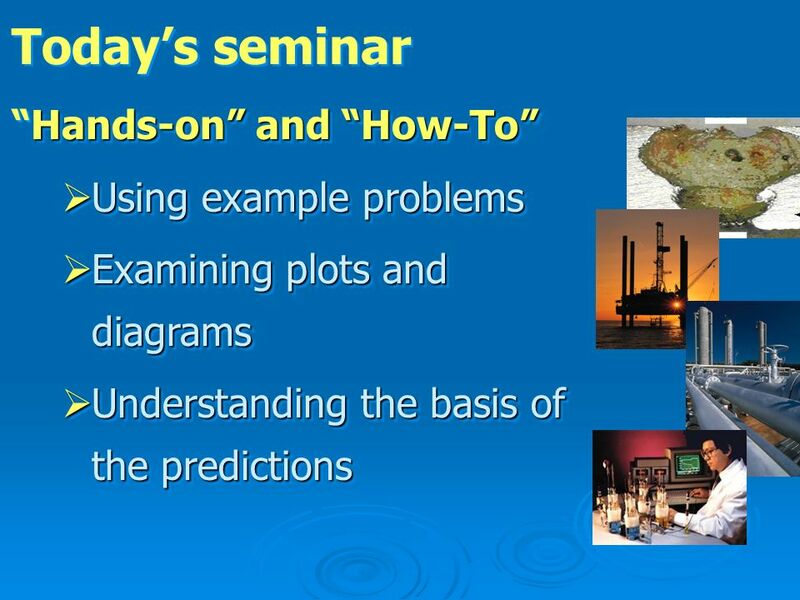 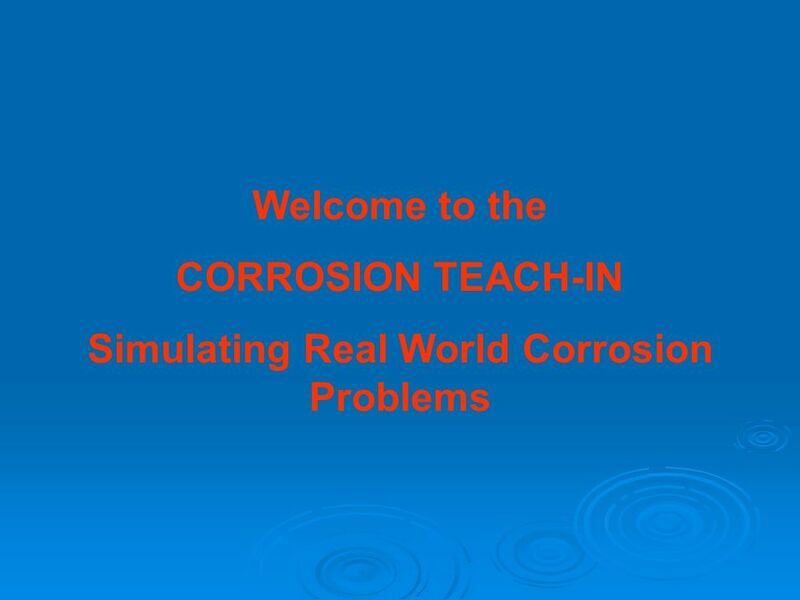 Download ppt "Understanding the corrosion environment"
Opening new doors with Chemistry THINK SIMULATION! 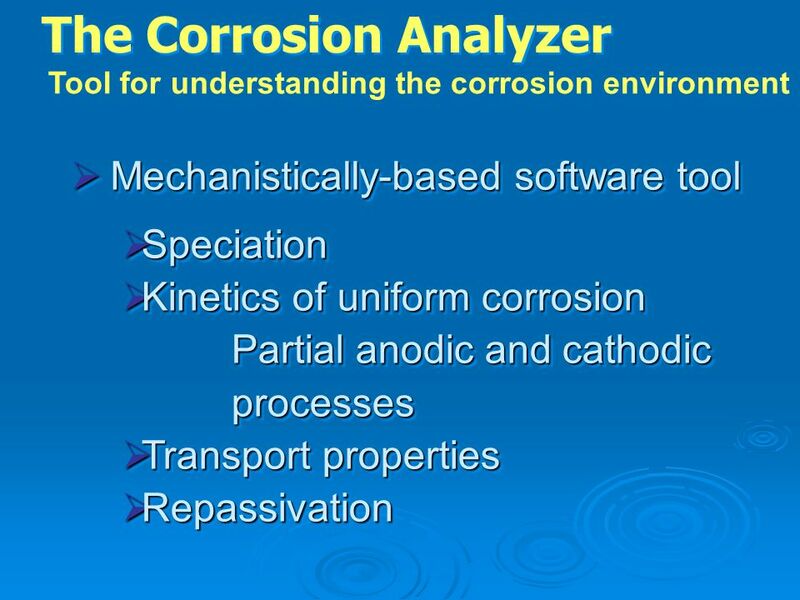 Advances in Corrosion Simulation Technology 24 th Conference October 23-24, 2007 Andre Anderko George. 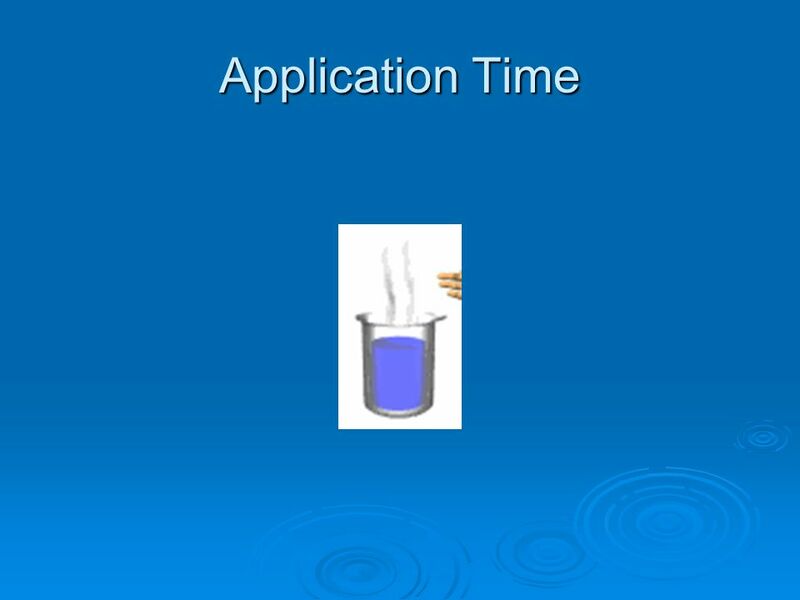 Reactions in Aqueous Solution prepared by A. Kyi Kyi Tin Ref: Raymong Chang. 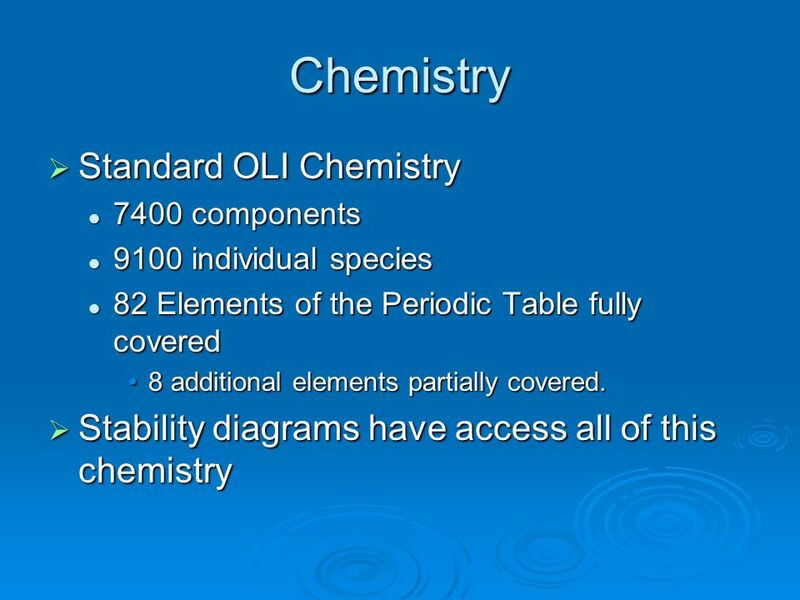 Chemistry Ninth Edition, McGraw – Hill International Edition 4.1 General Properties. 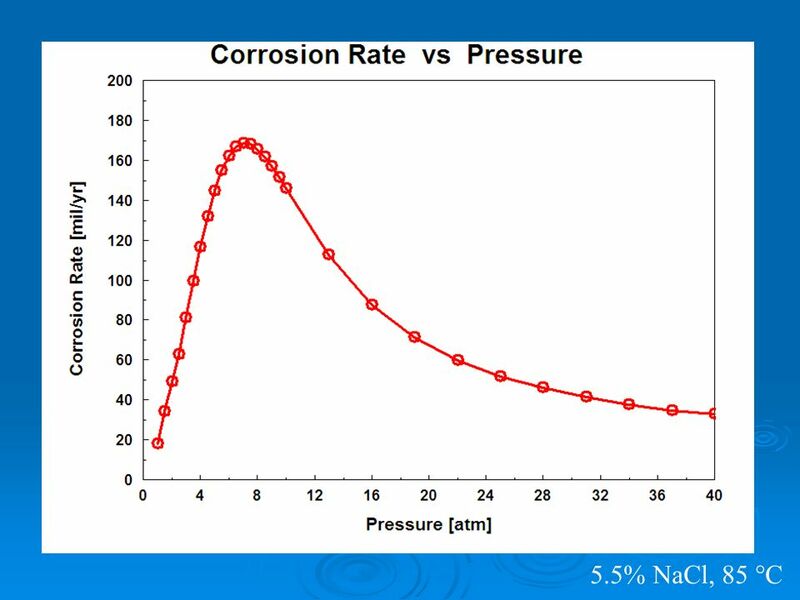 Science that Drives Technology QMAXX PRODUCTS. 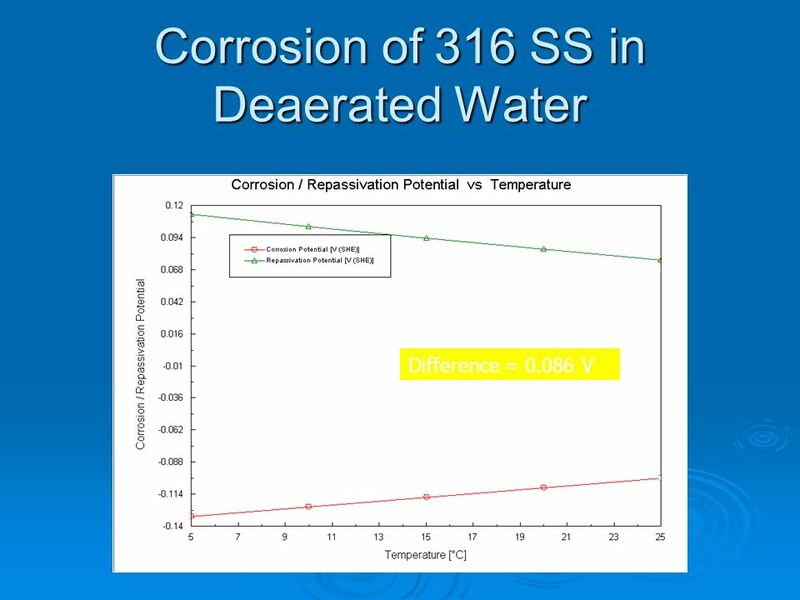 Water Displacement Excellent Cleaner Lubricates Corrosion Protection Electrochemical Insulation Penetration.